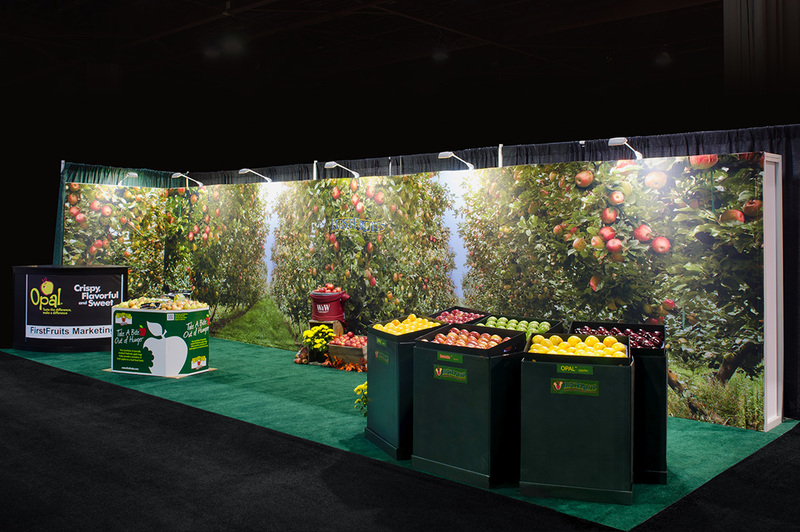 Themed graphic backwall showcases the nature of the company in a very creative and interesting way. 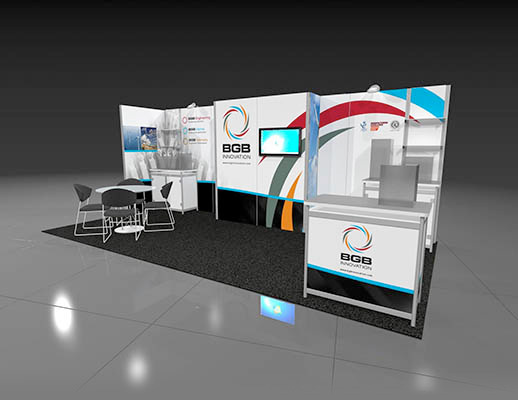 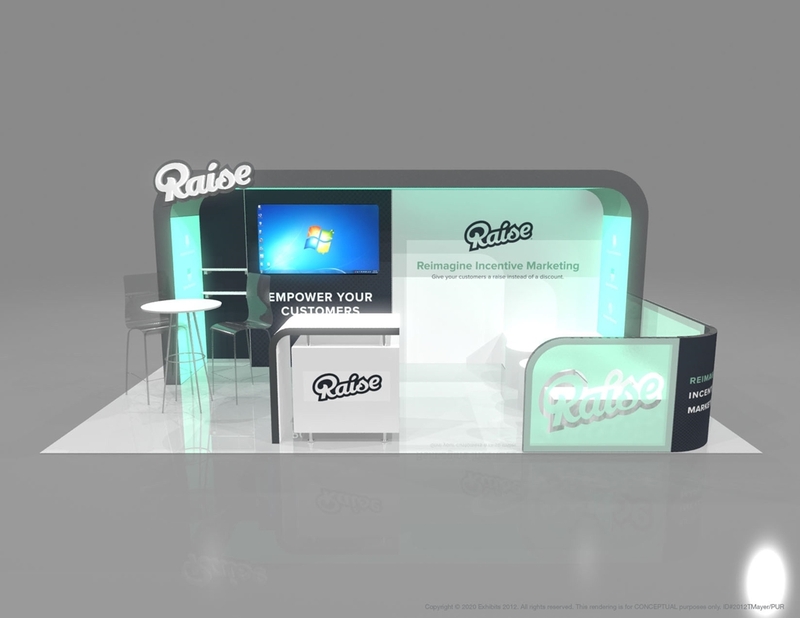 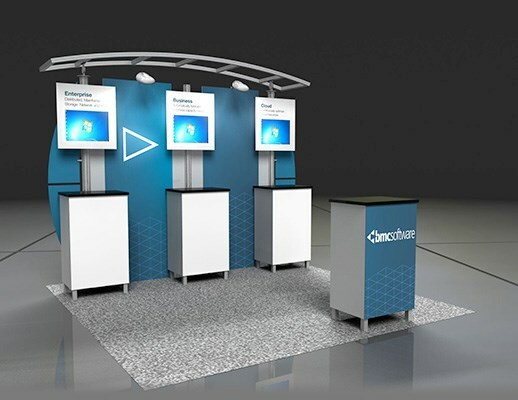 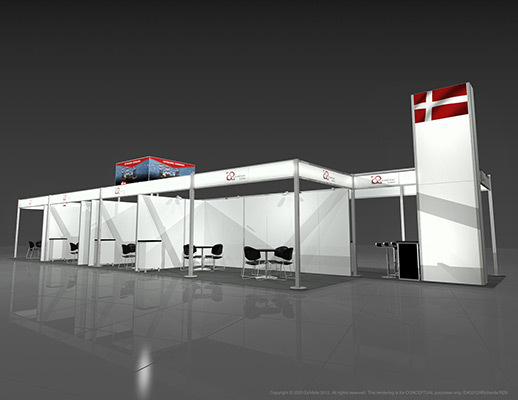 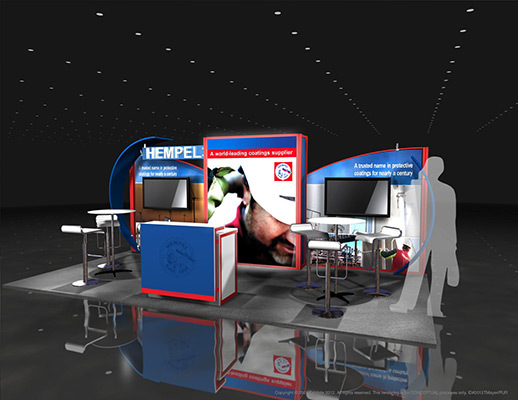 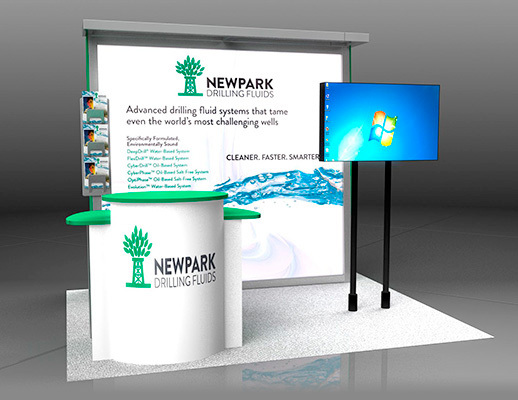 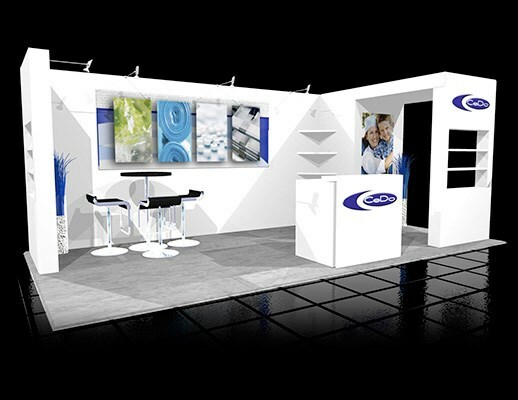 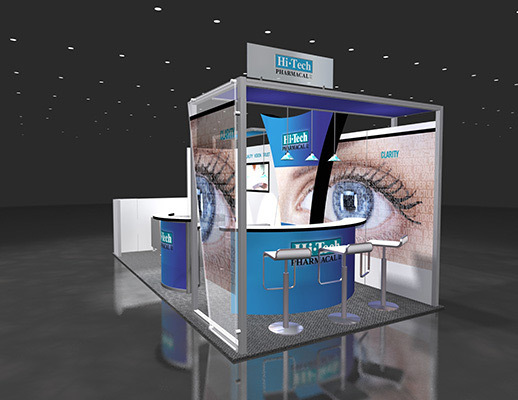 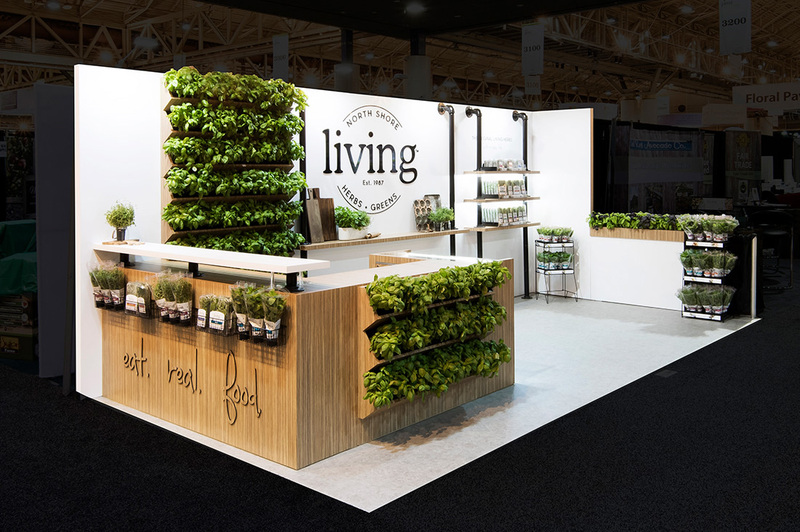 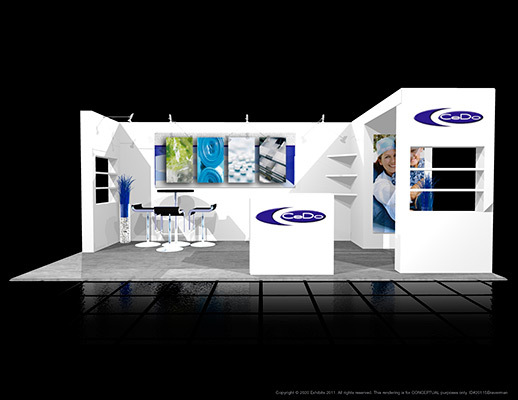 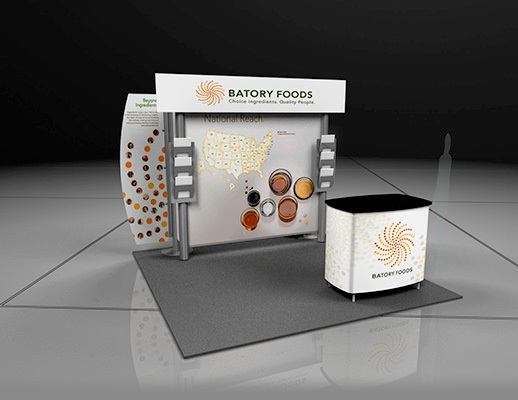 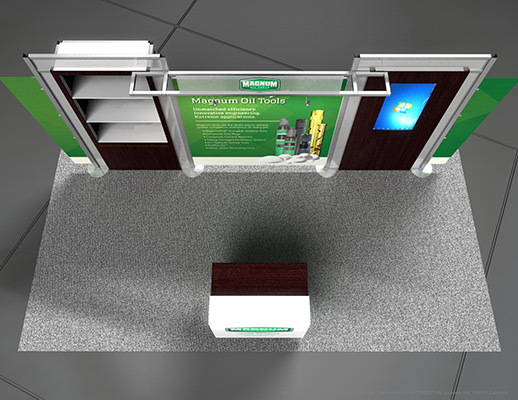 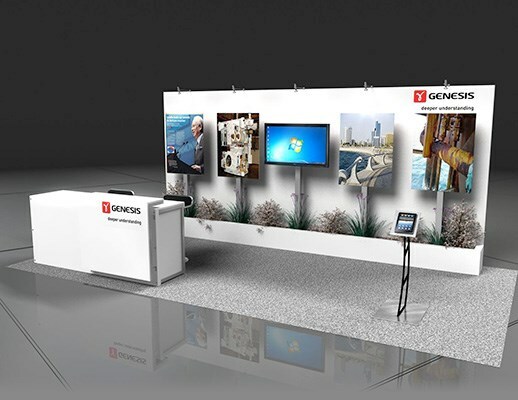 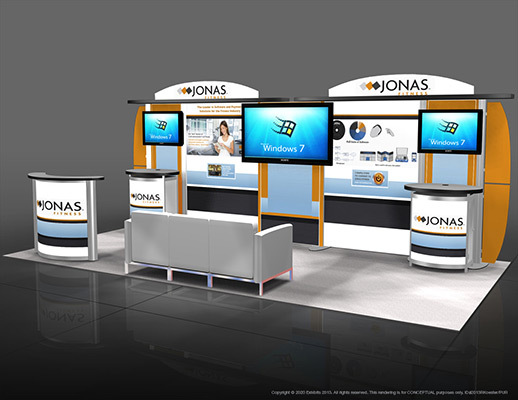 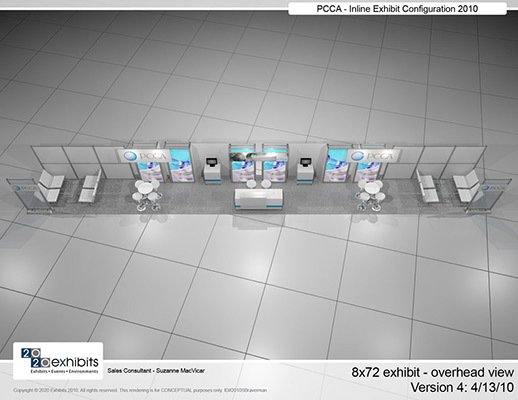 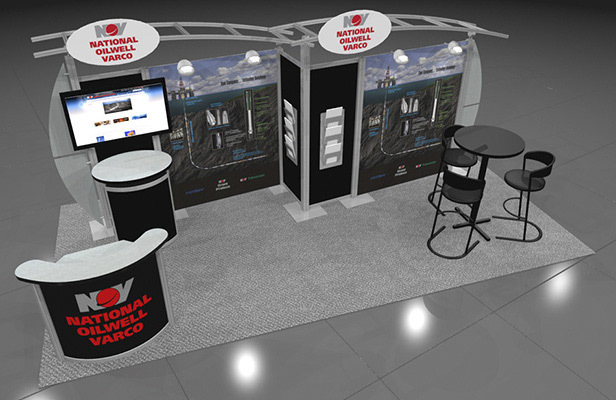 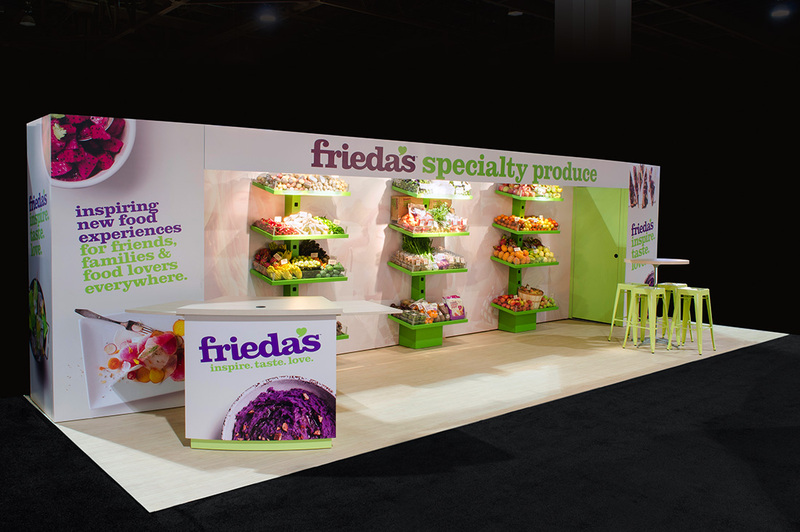 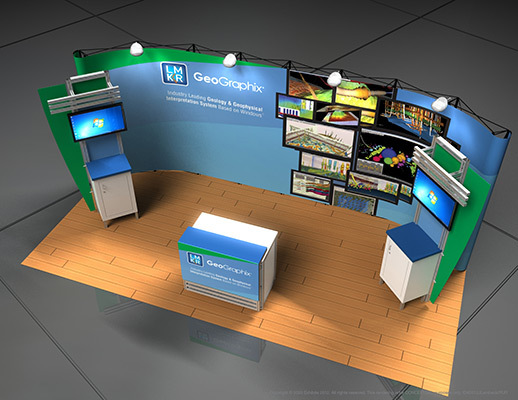 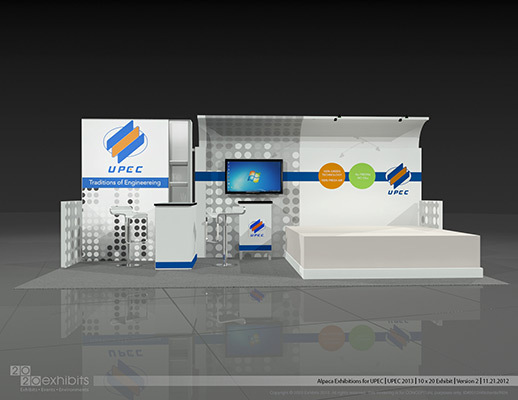 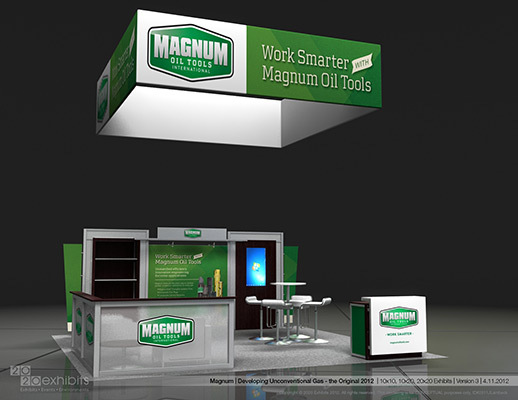 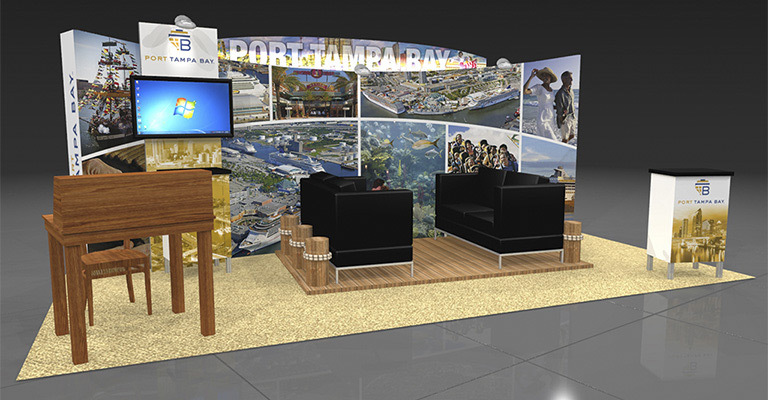 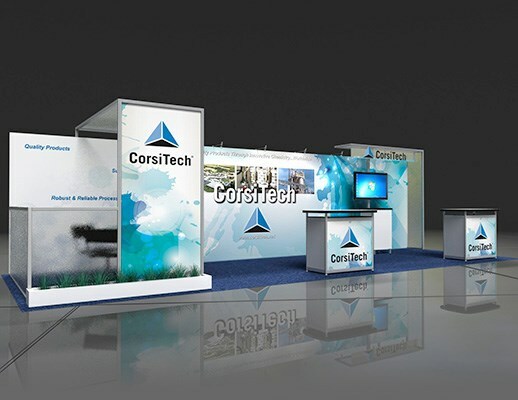 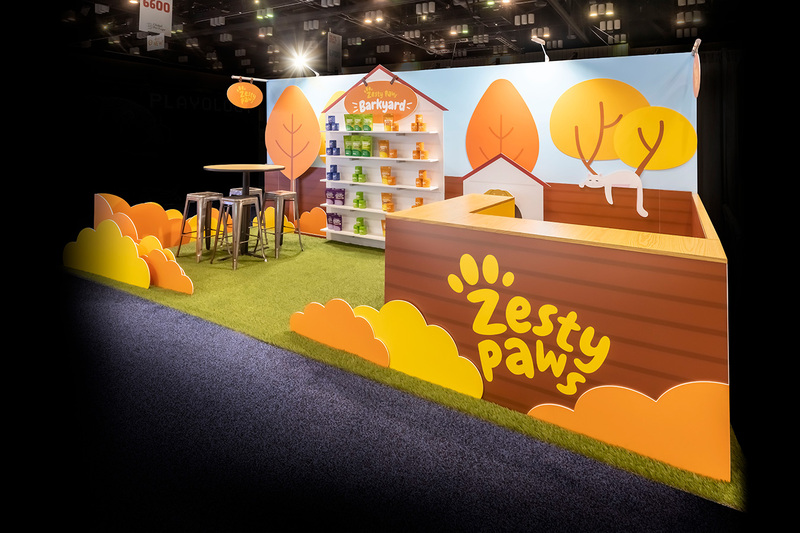 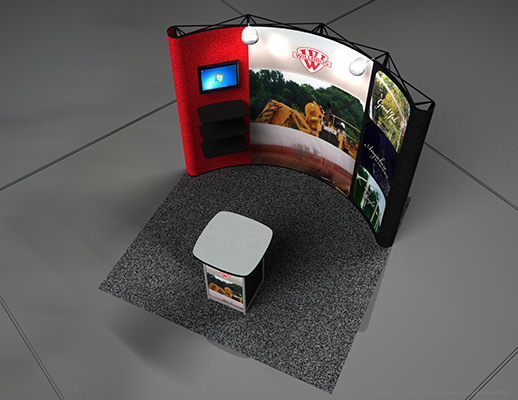 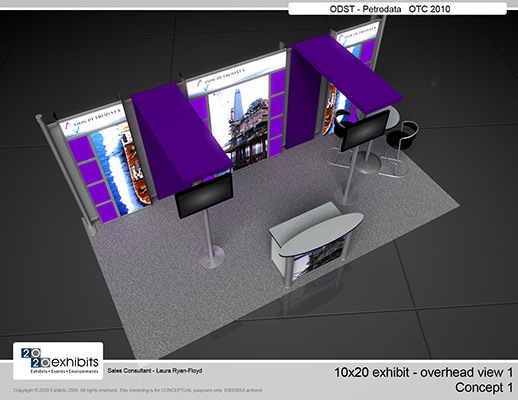 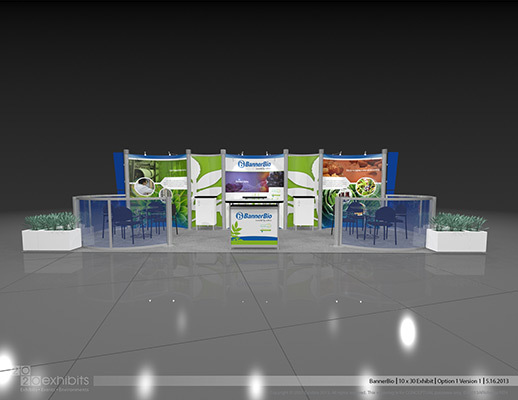 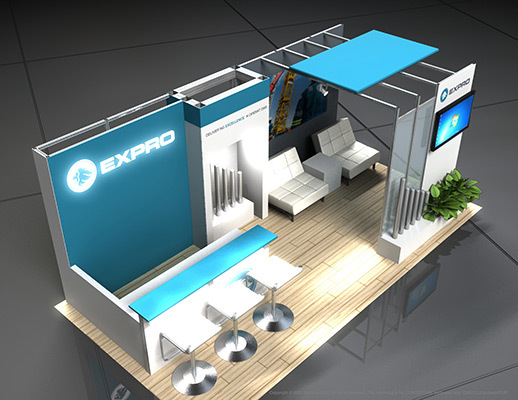 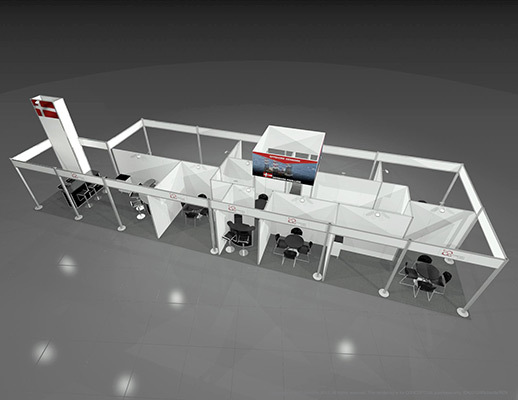 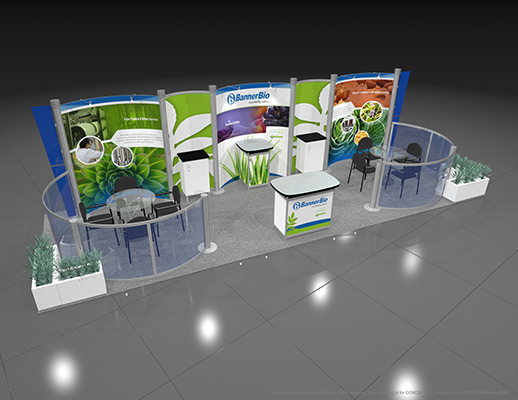 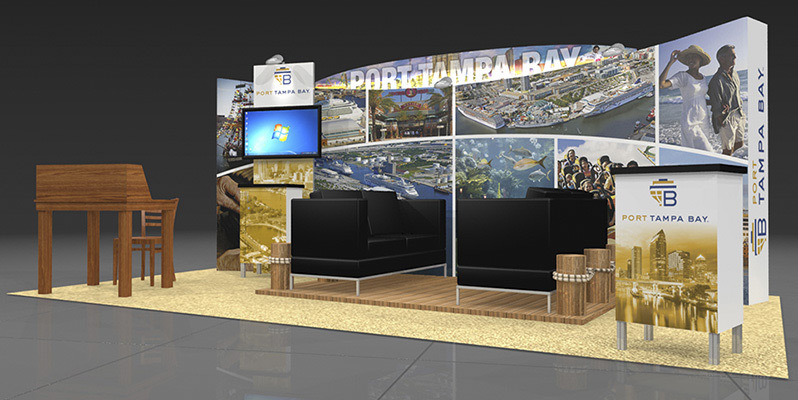 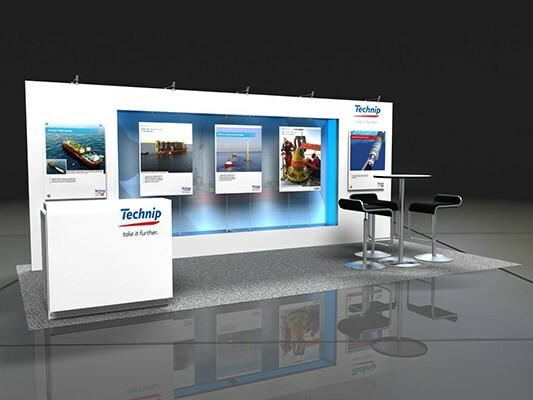 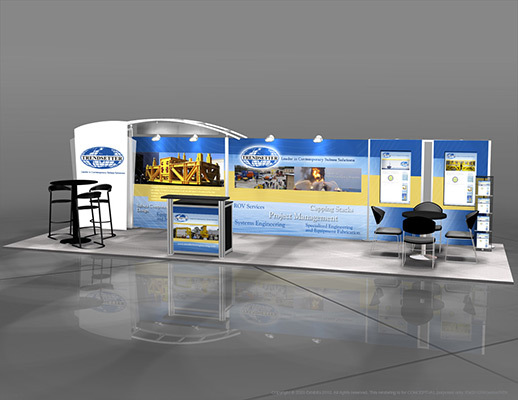 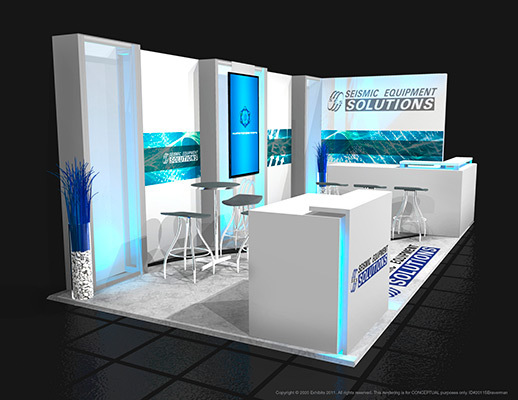 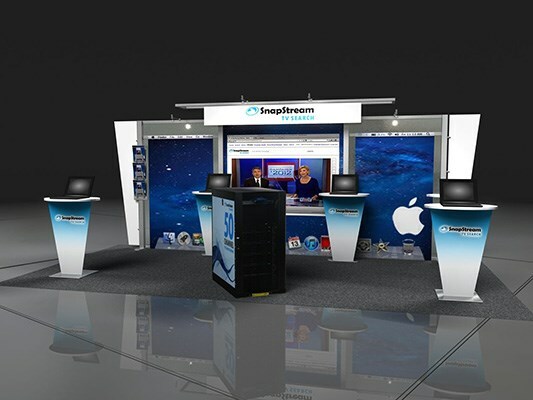 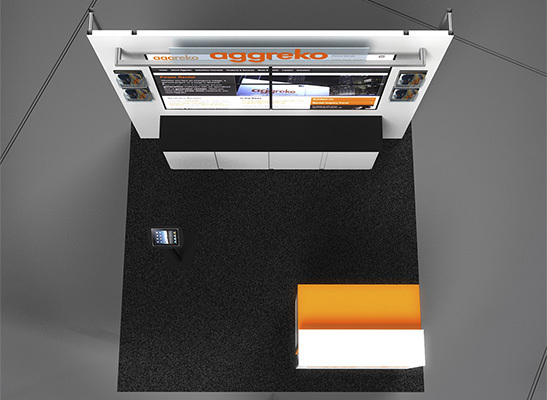 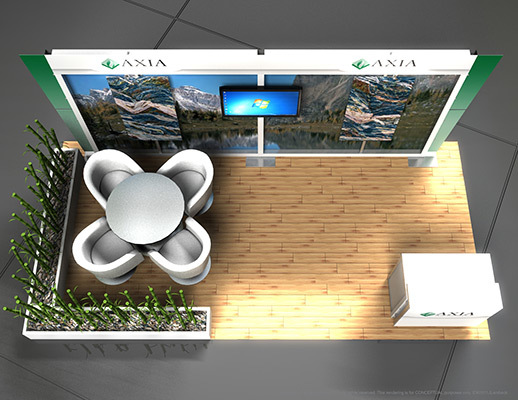 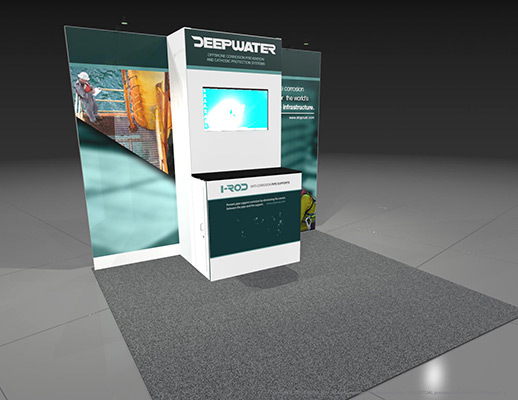 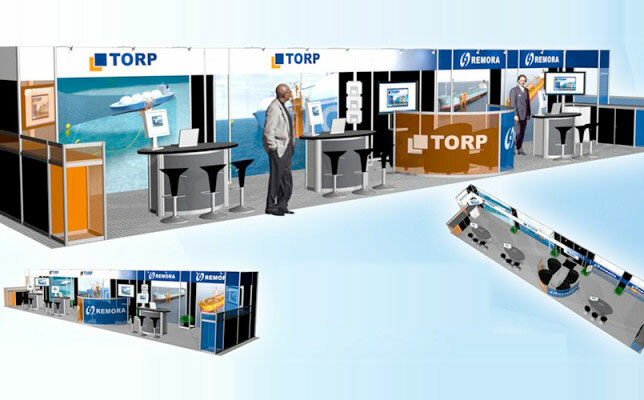 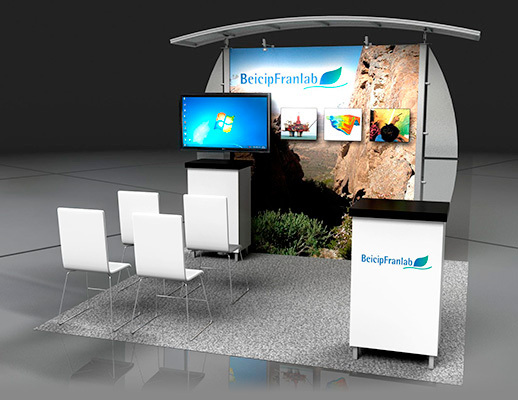 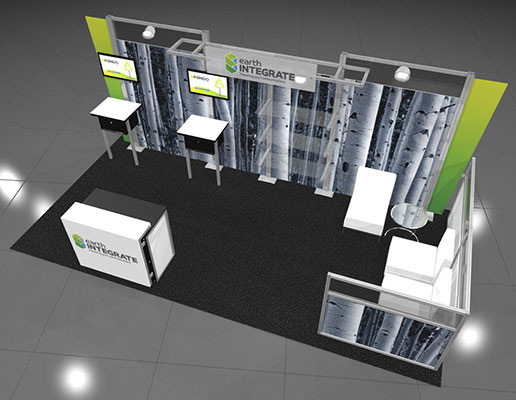 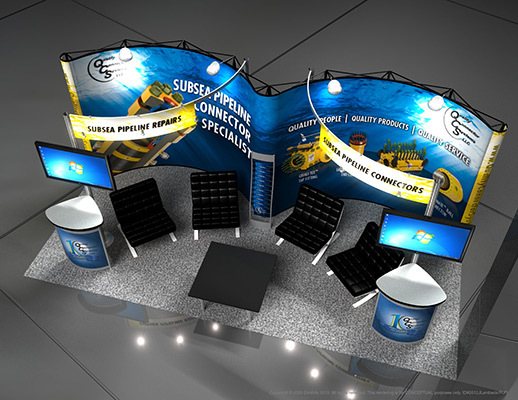 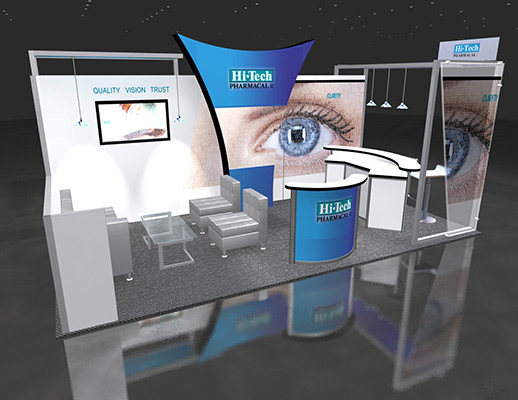 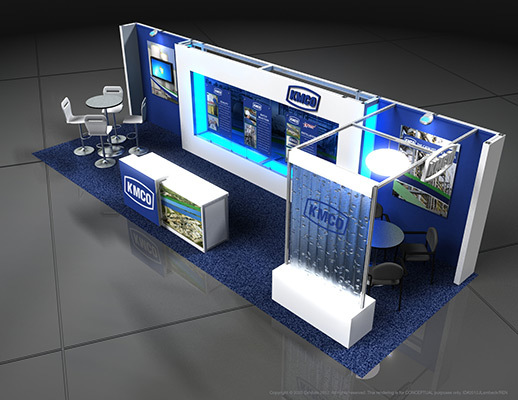 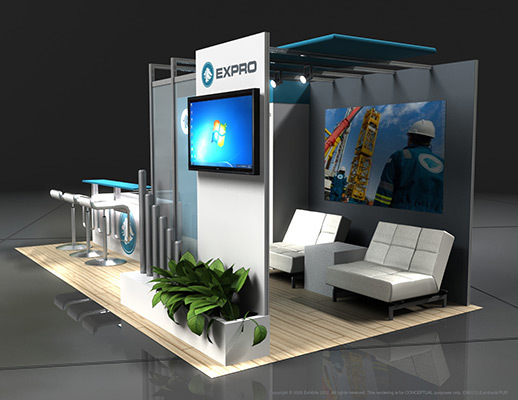 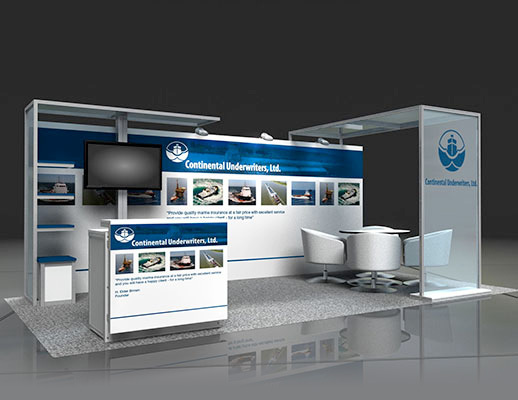 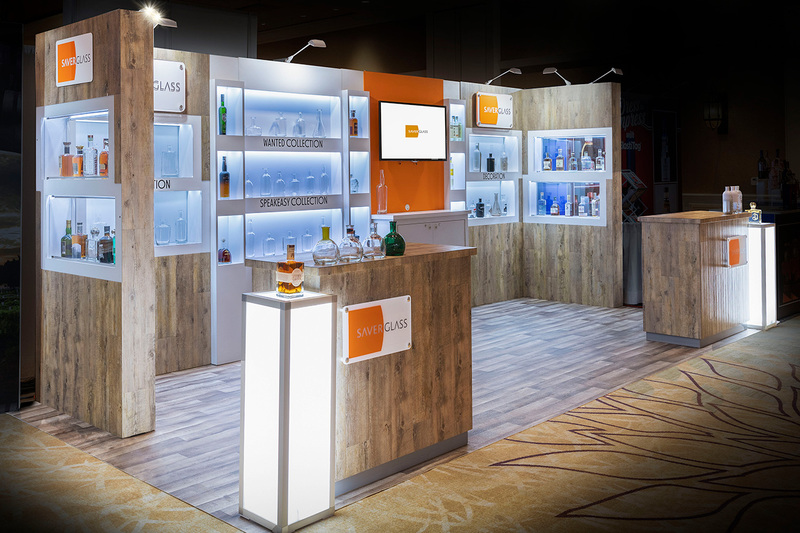 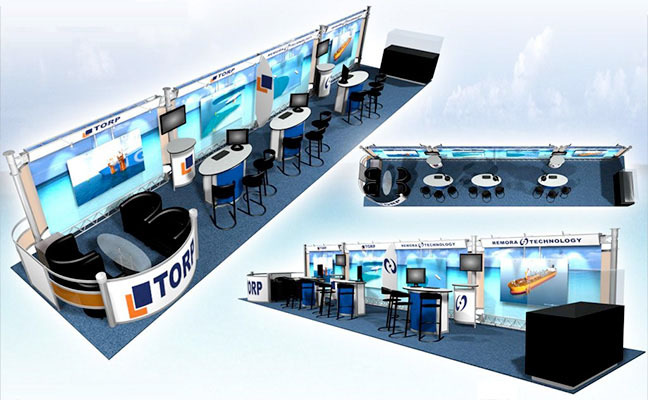 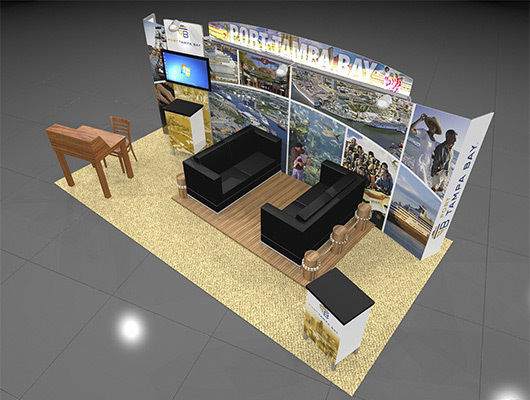 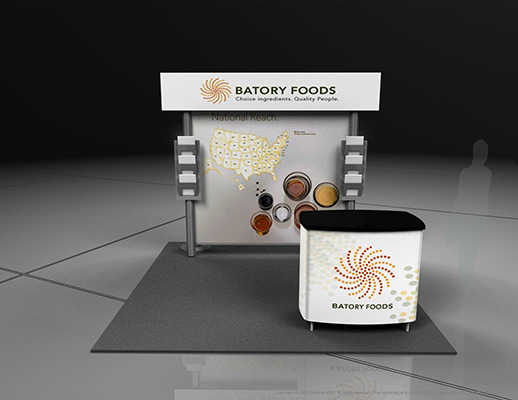 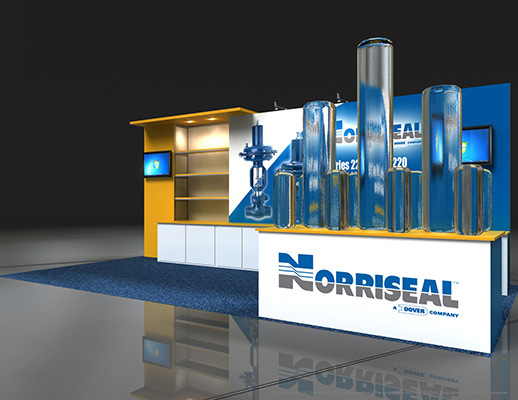 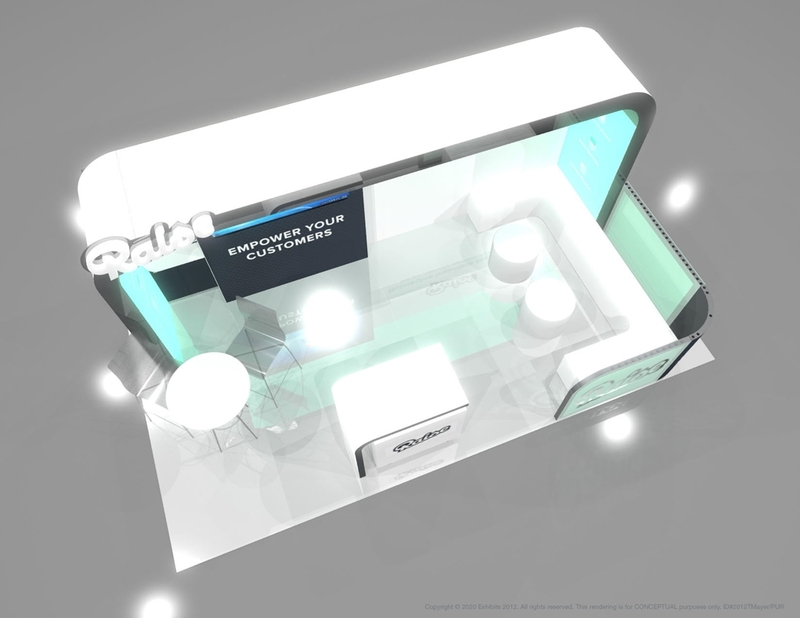 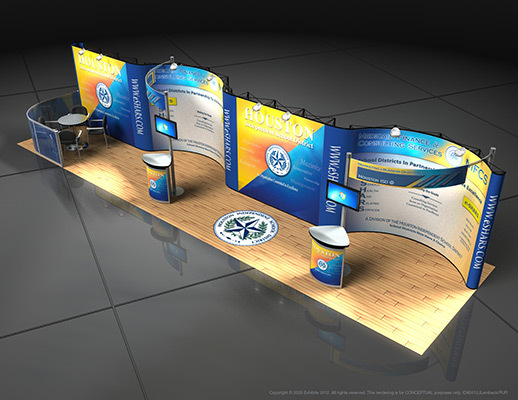 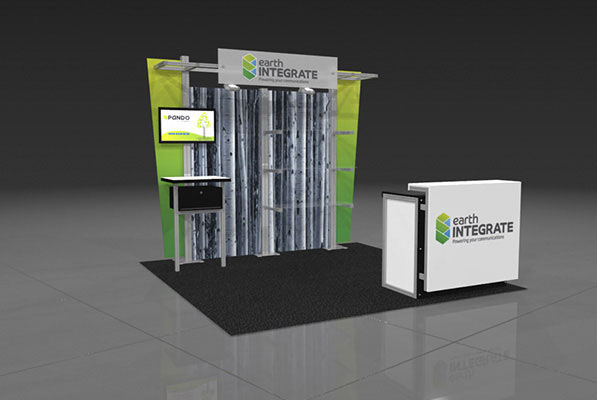 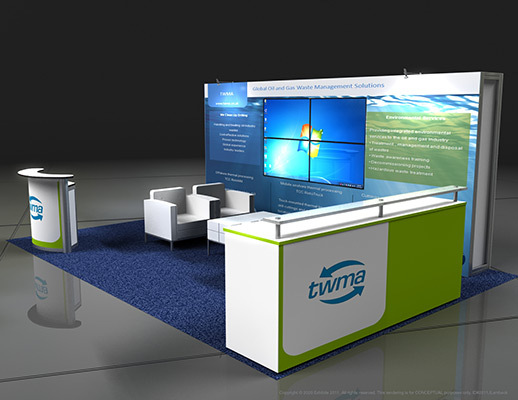 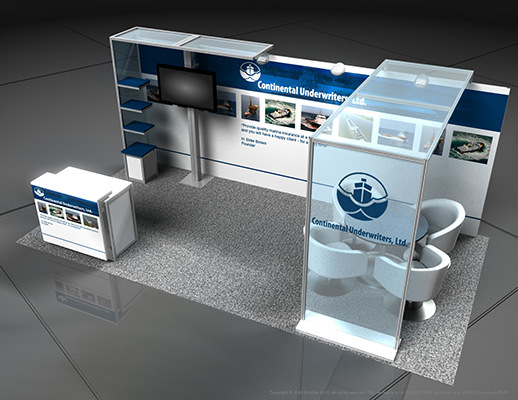 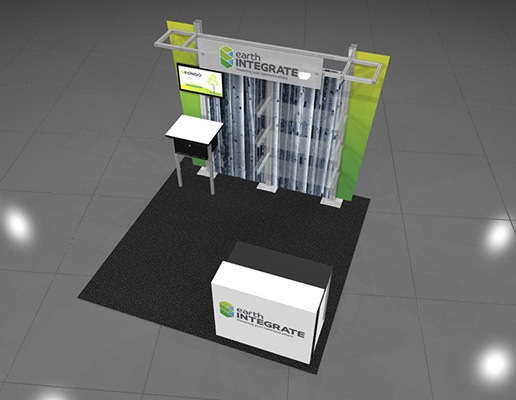 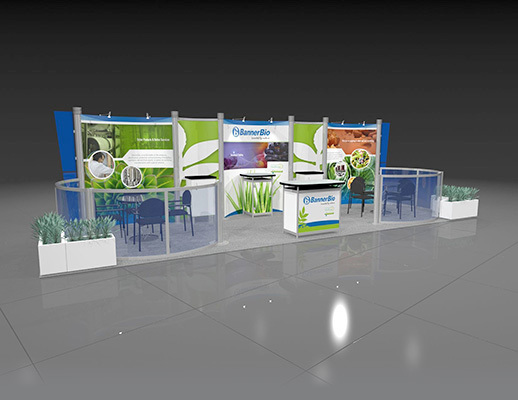 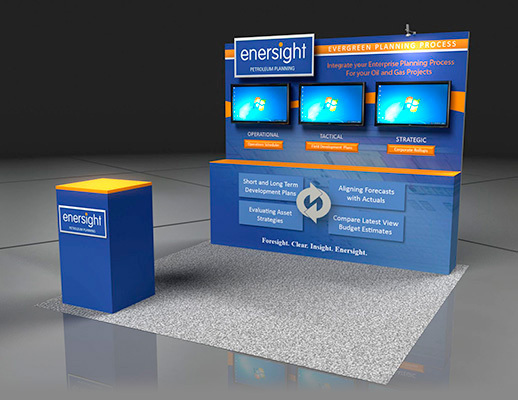 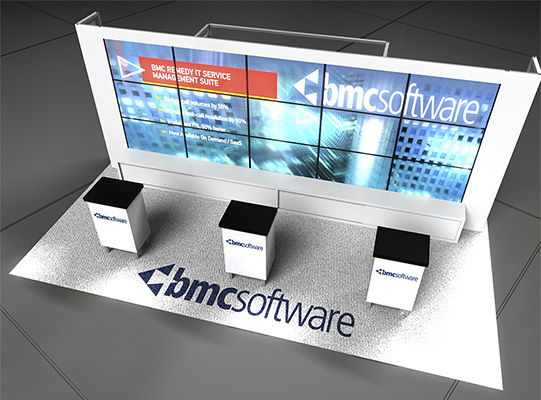 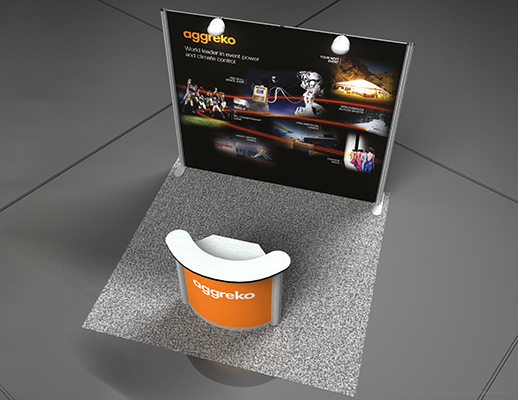 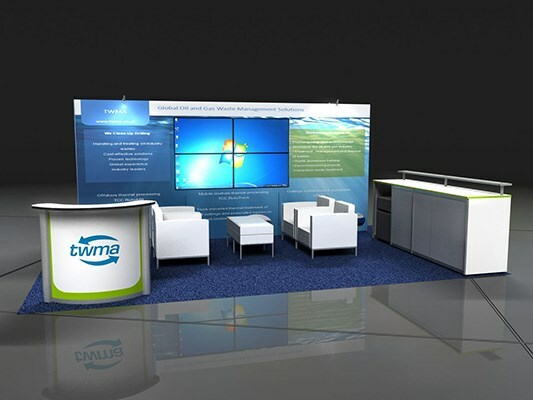 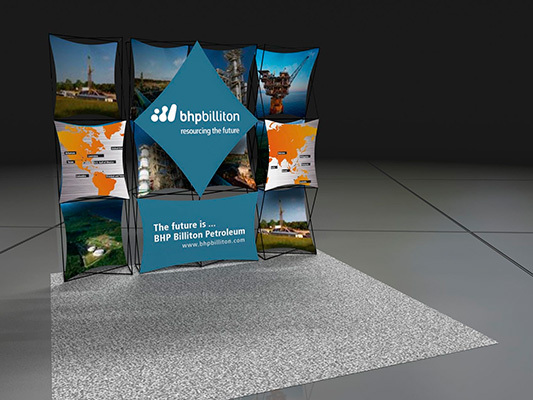 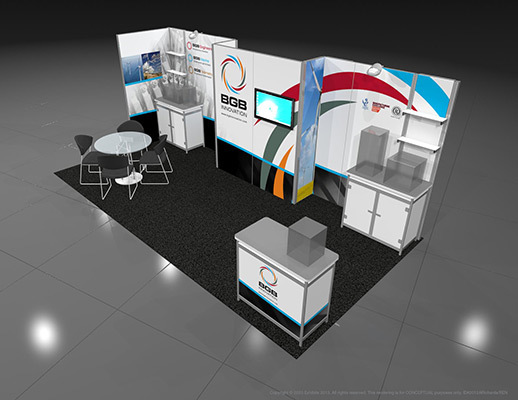 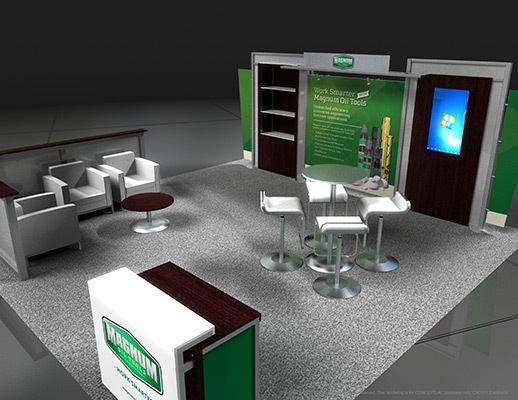 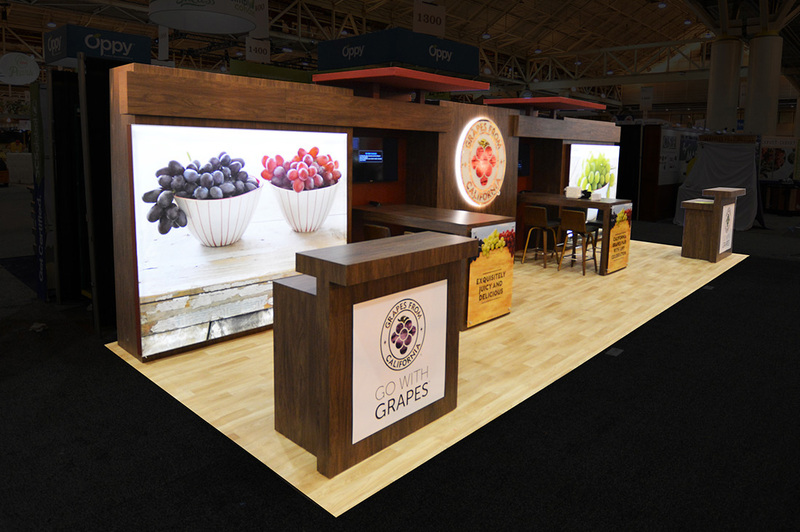 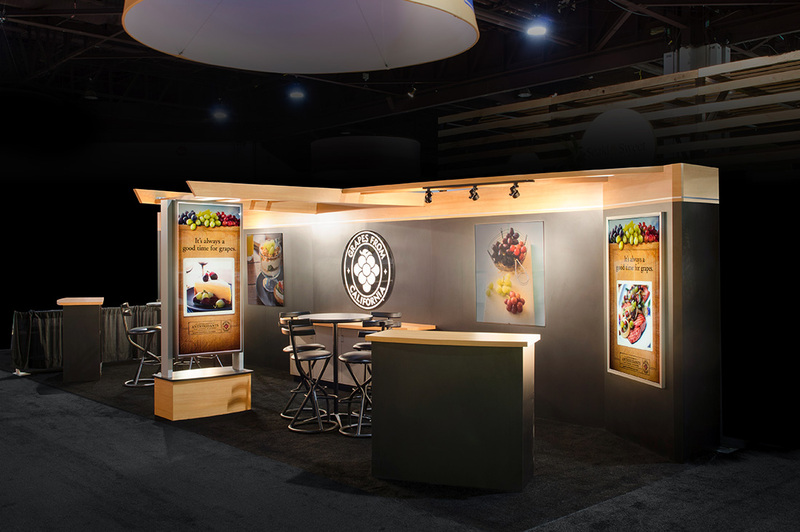 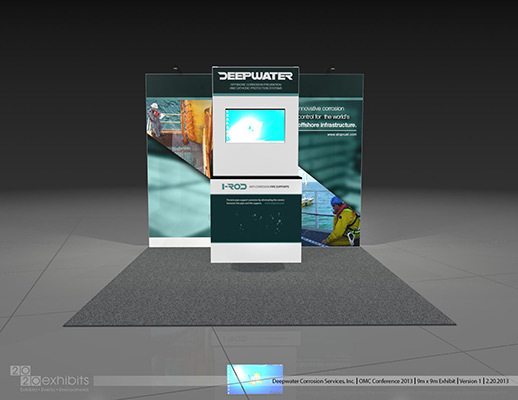 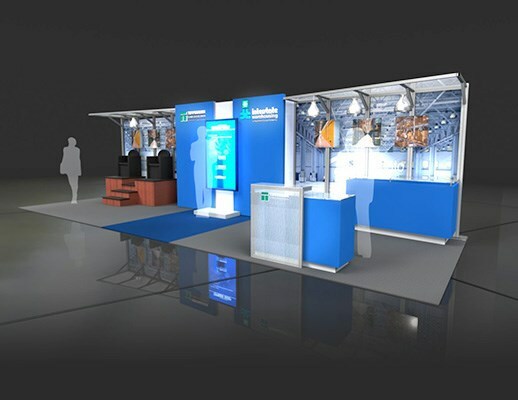 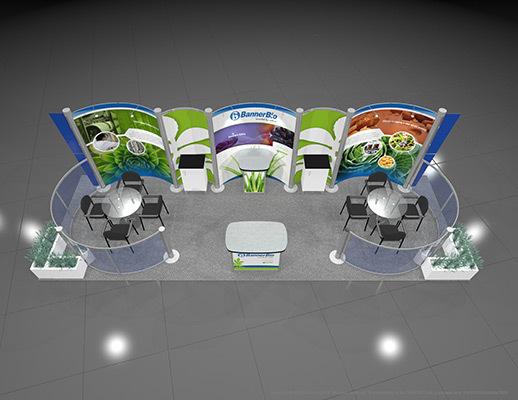 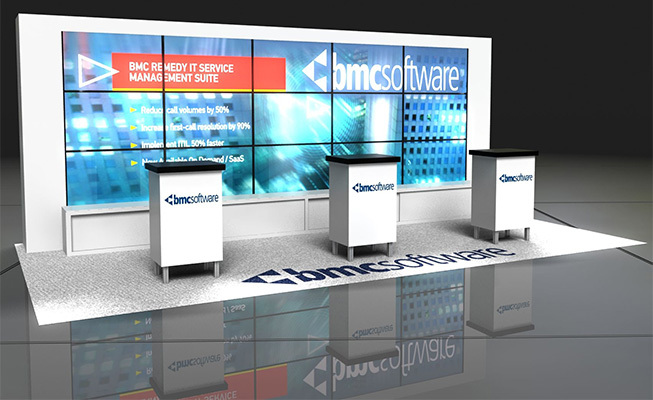 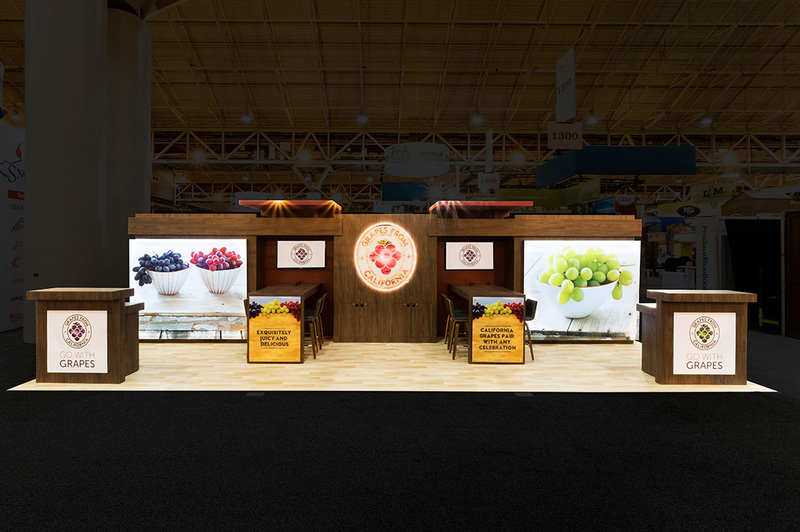 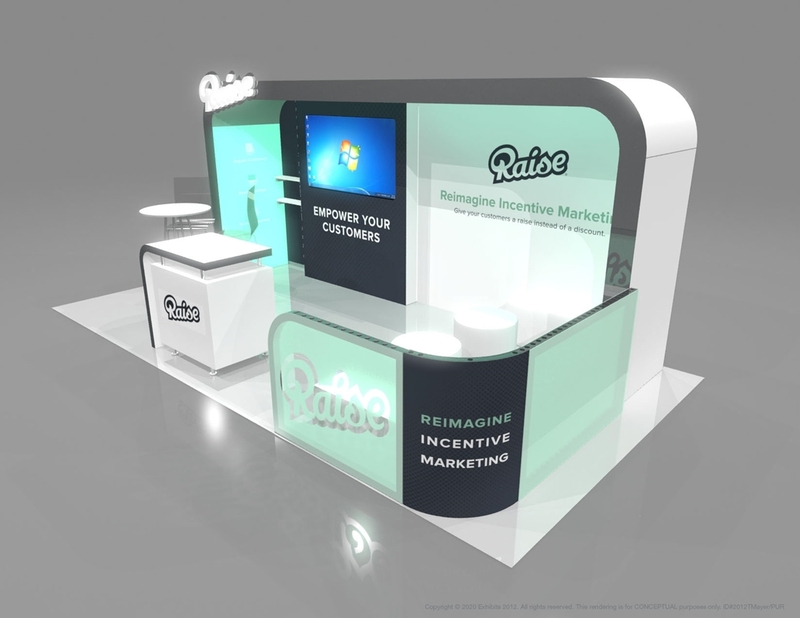 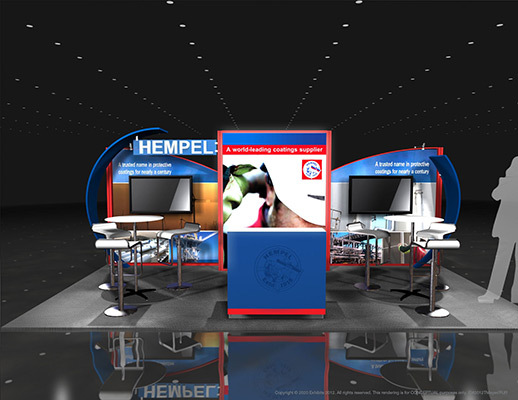 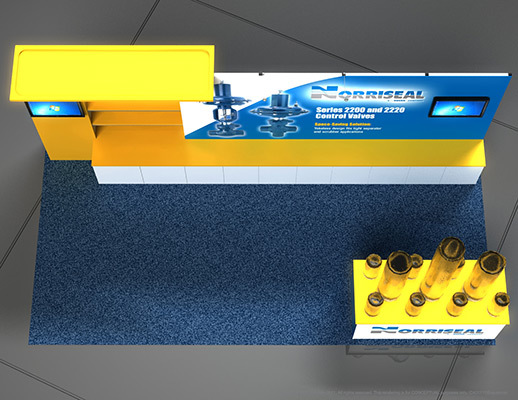 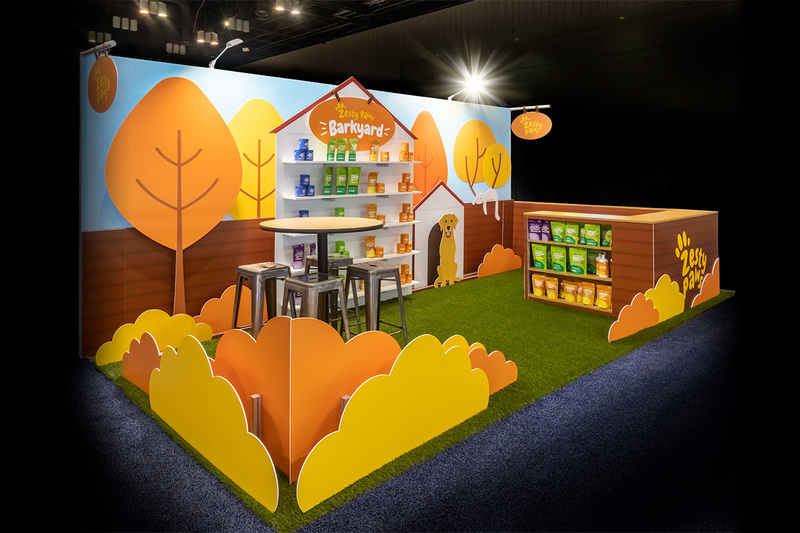 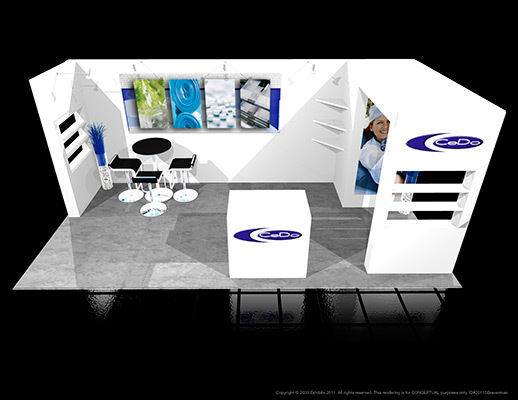 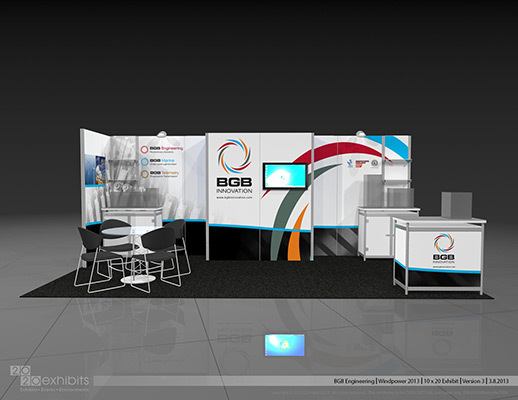 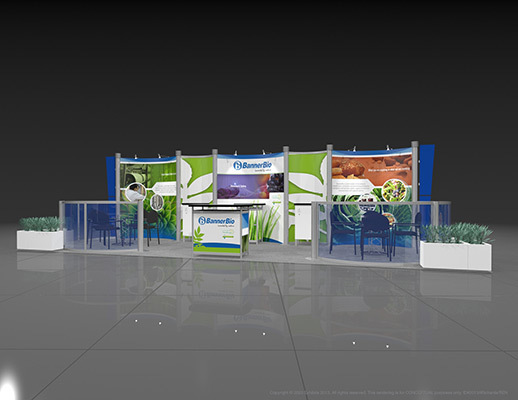 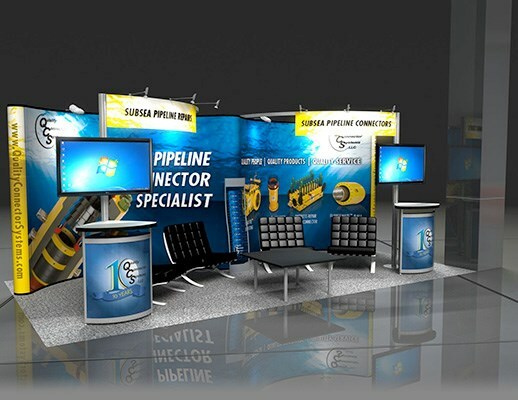 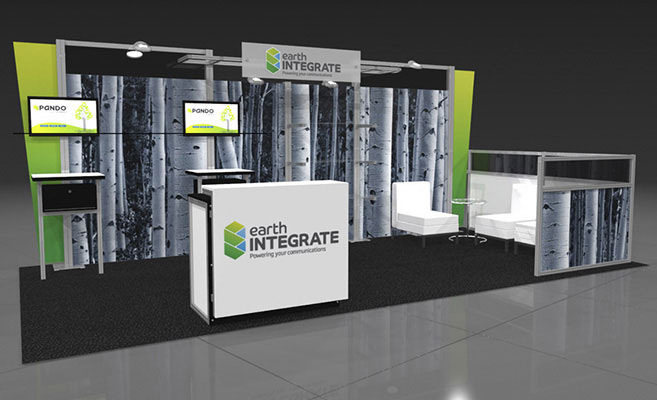 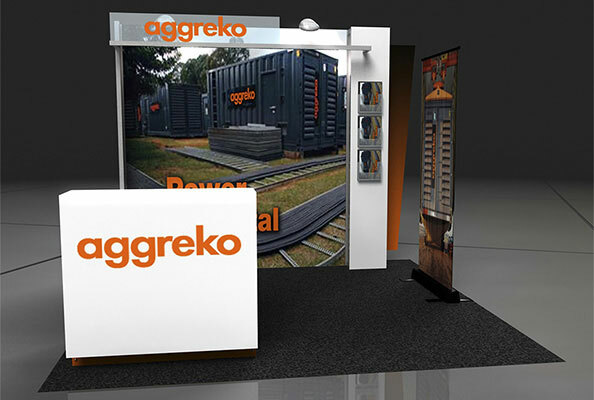 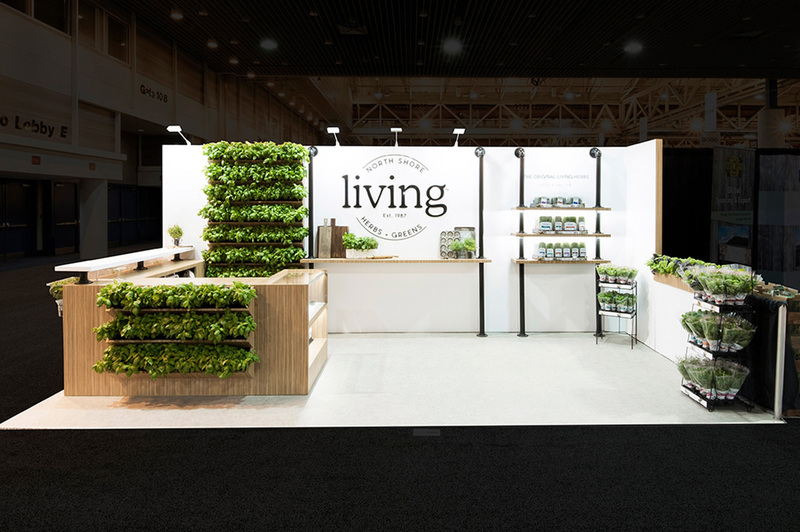 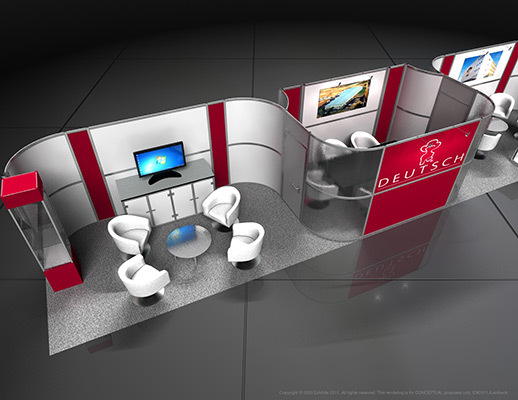 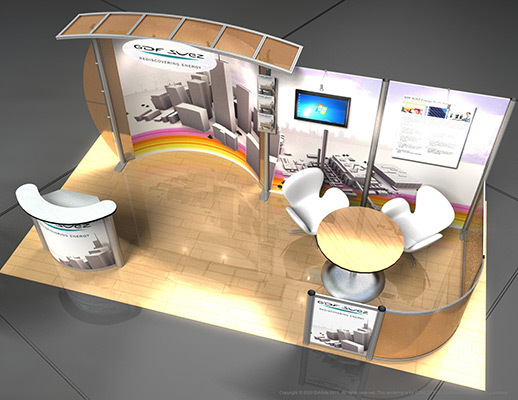 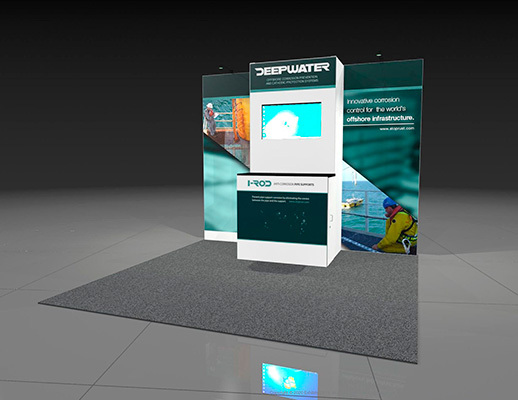 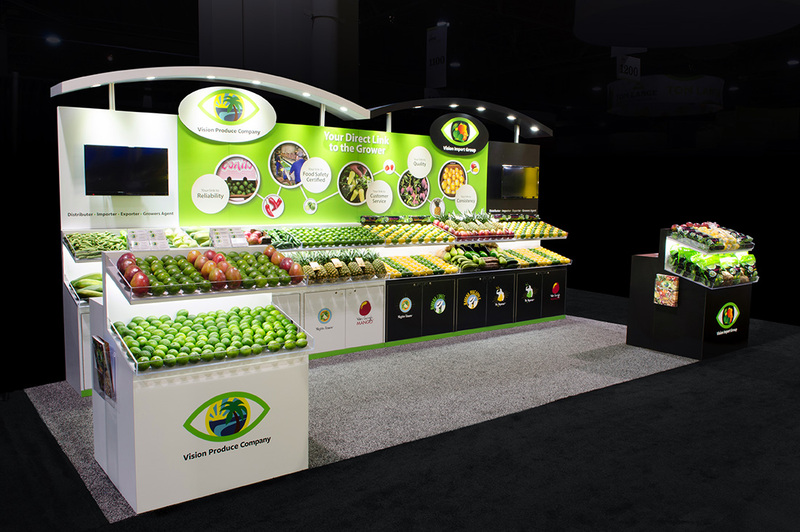 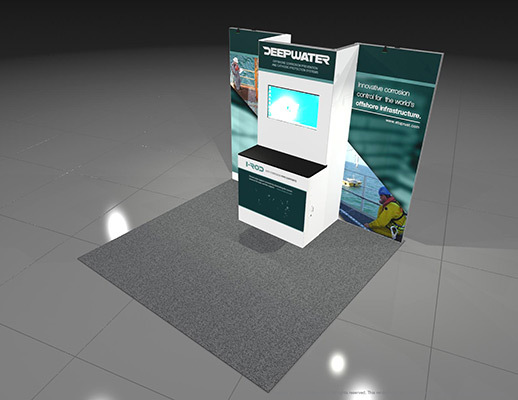 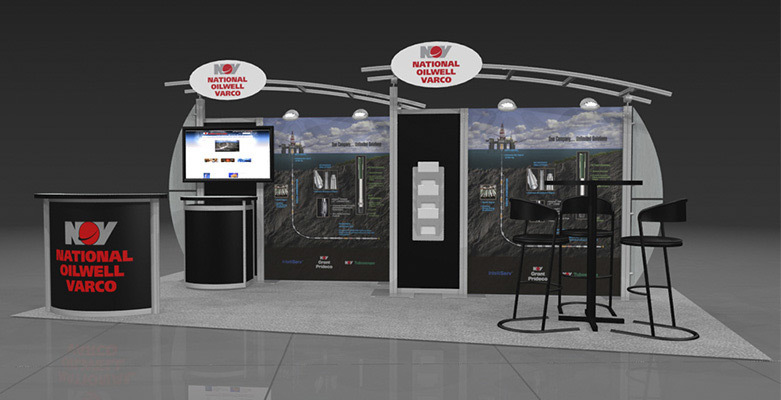 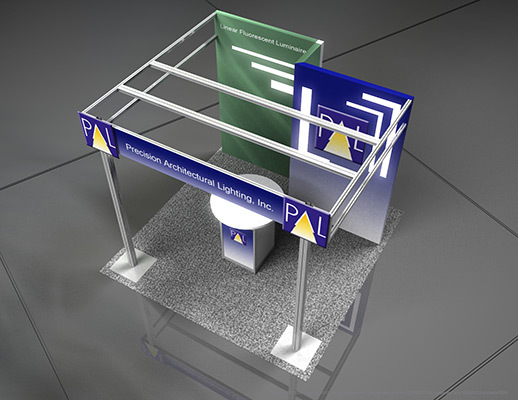 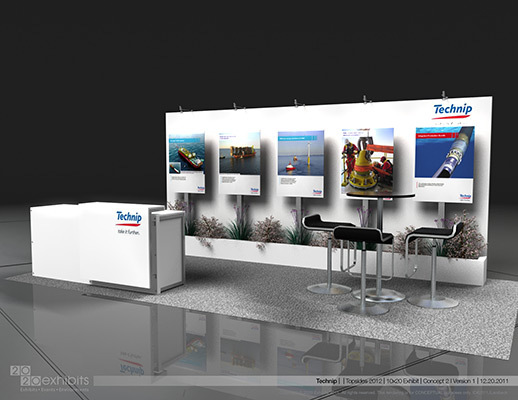 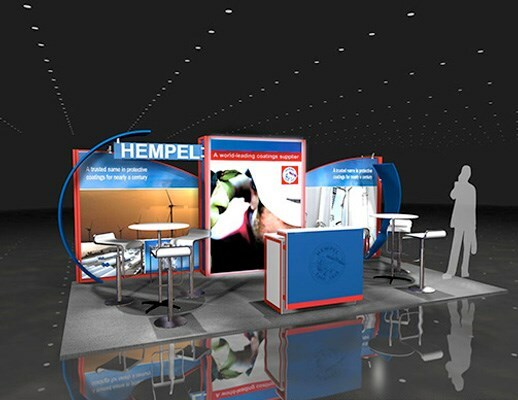 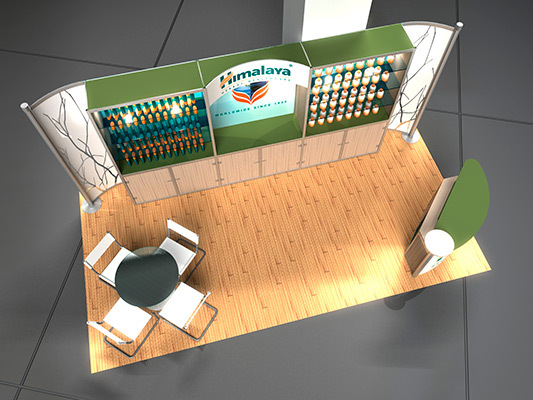 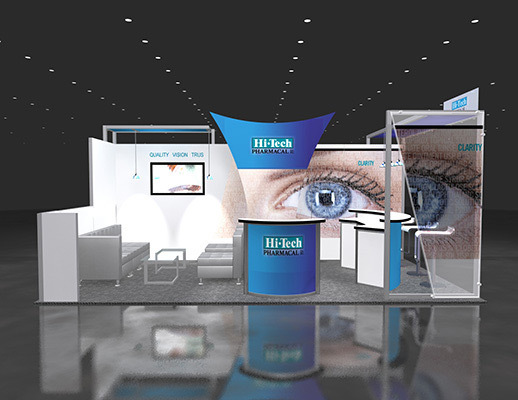 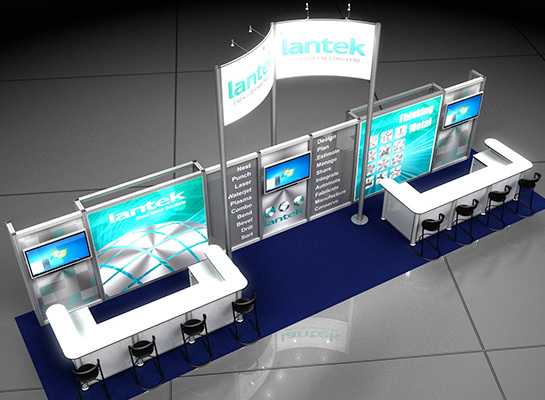 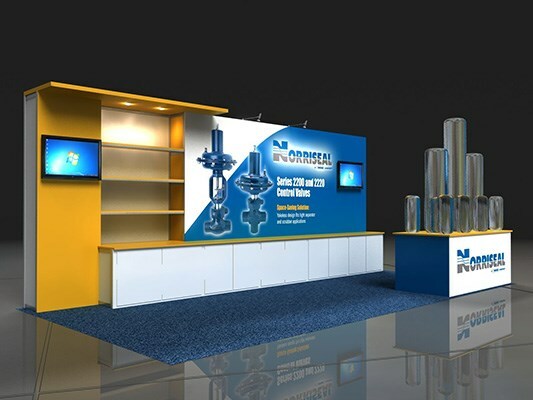 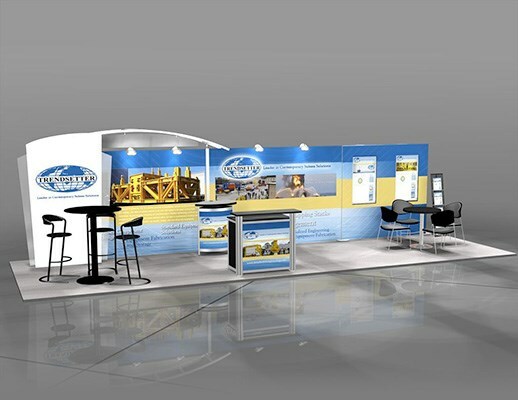 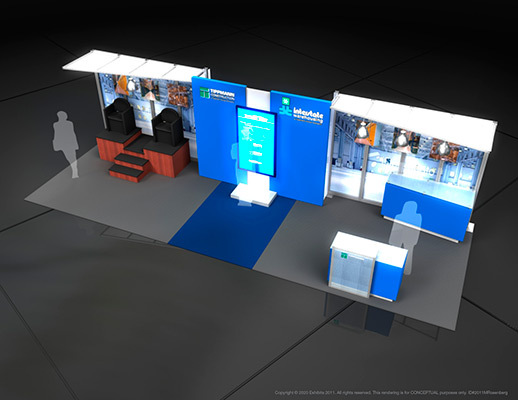 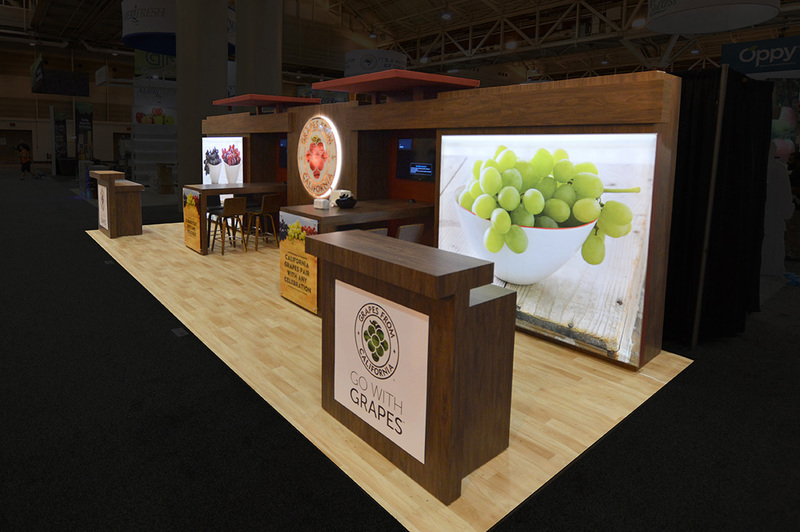 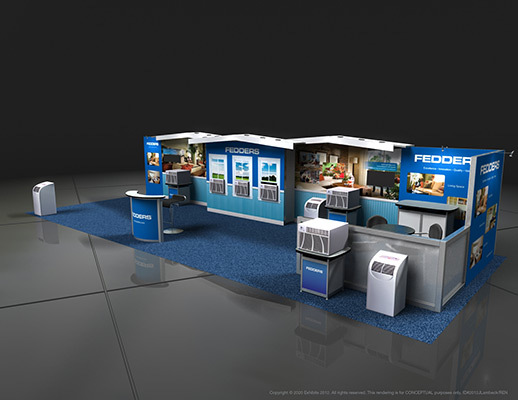 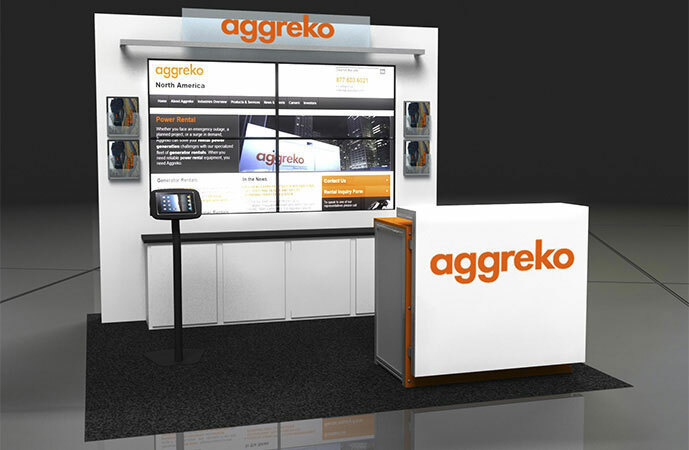 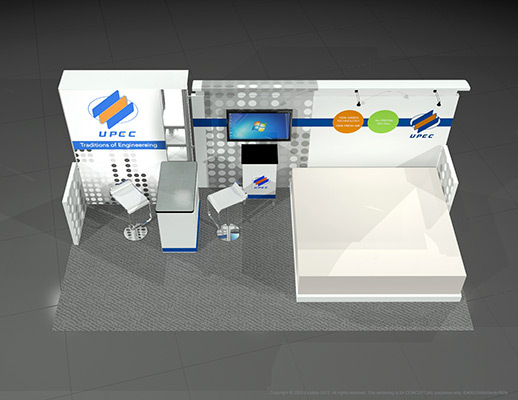 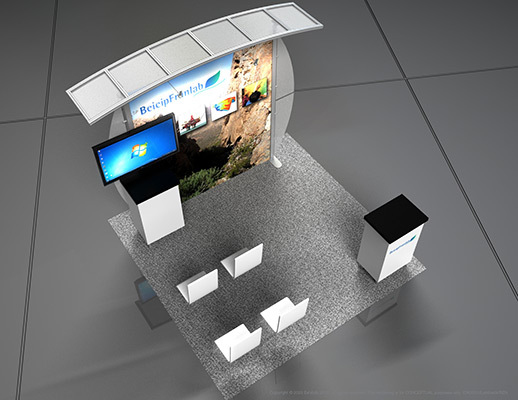 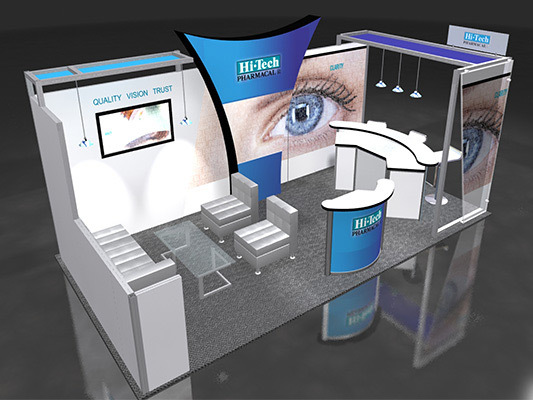 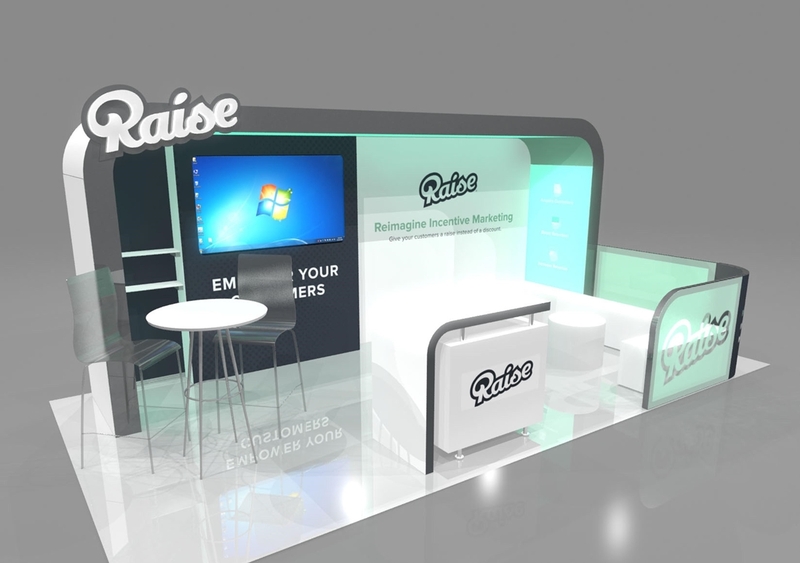 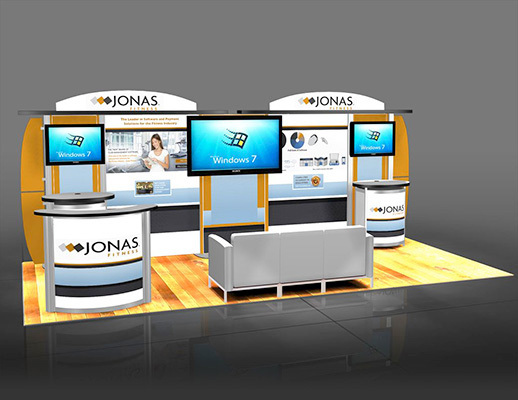 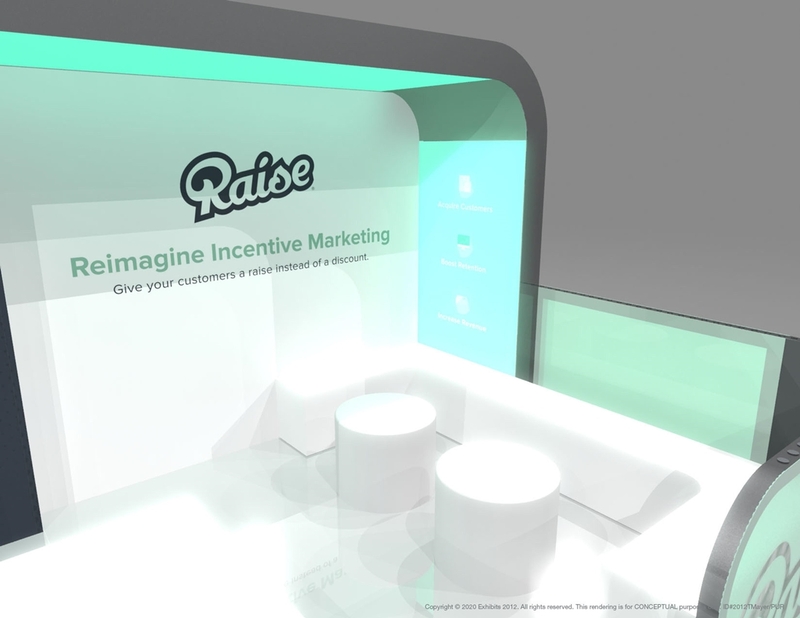 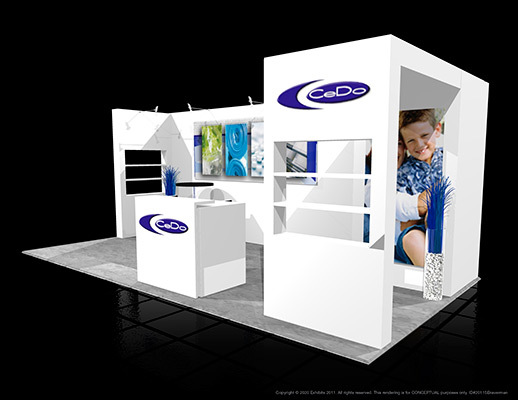 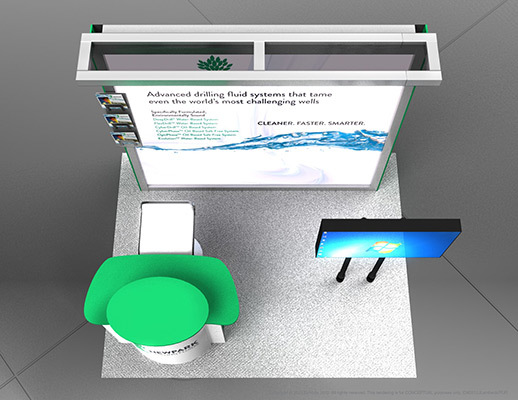 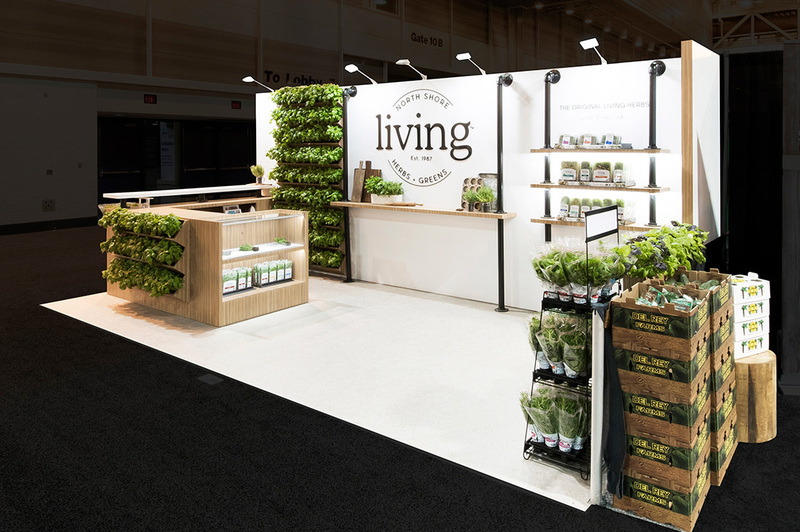 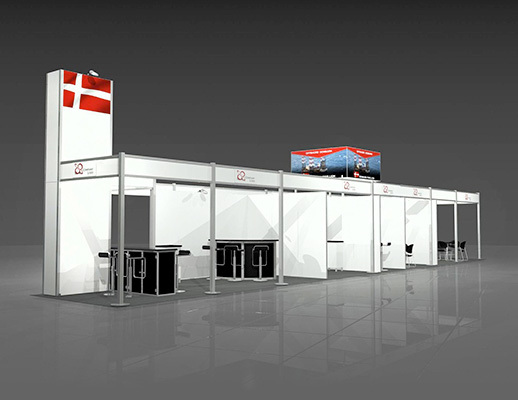 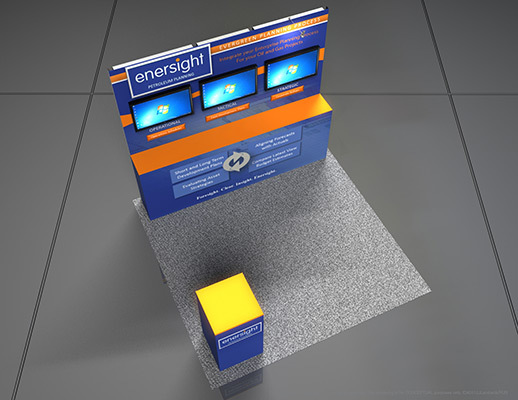 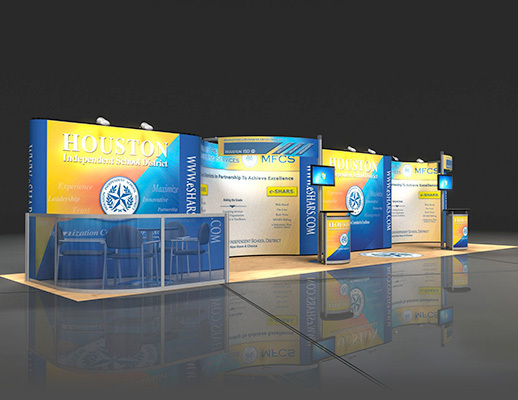 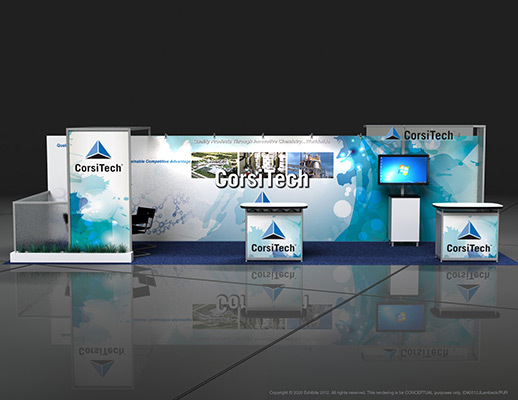 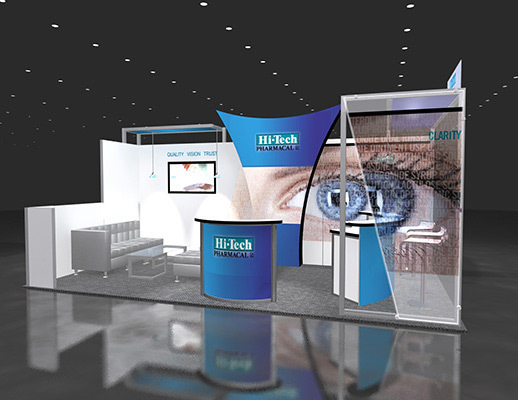 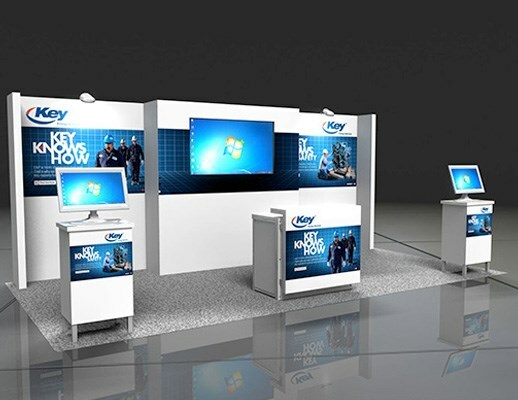 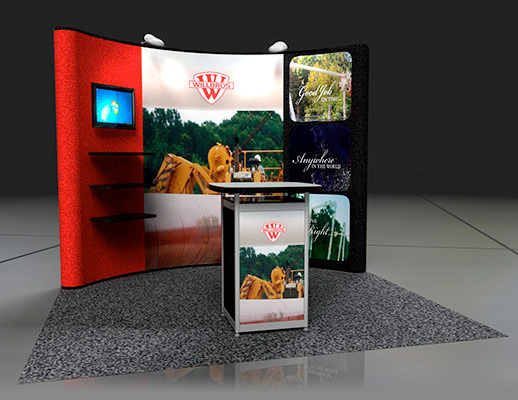 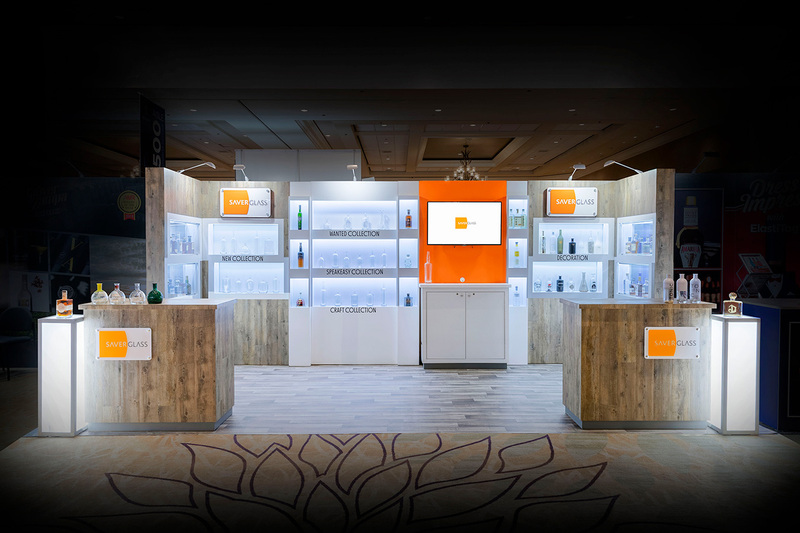 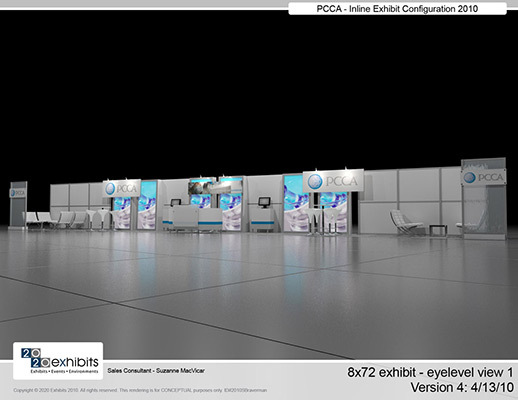 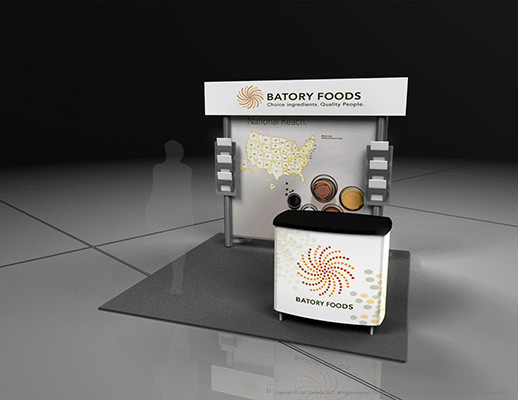 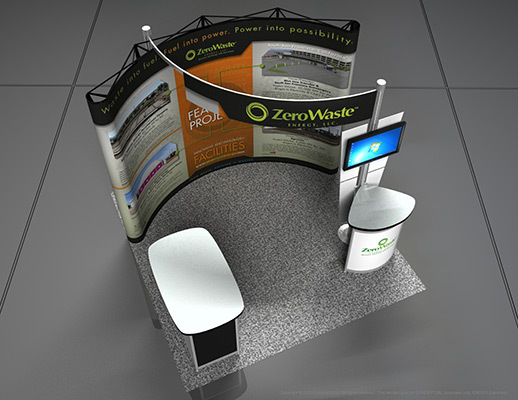 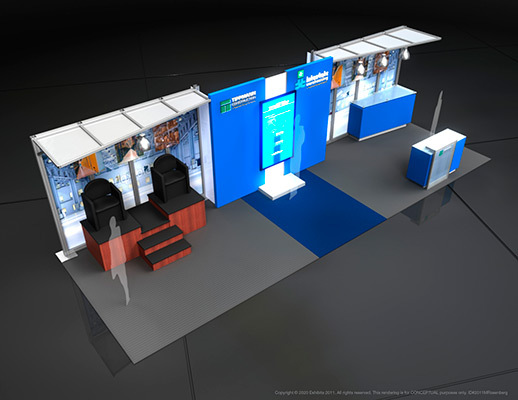 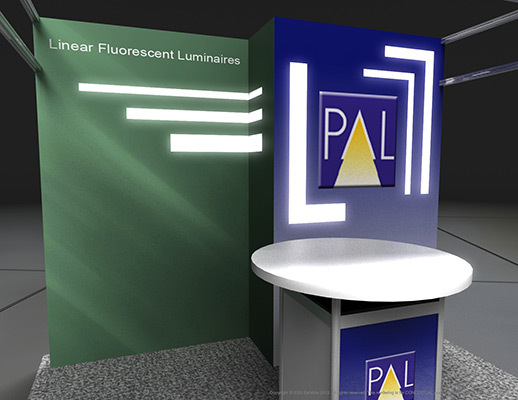 The basic layout allows for either a showcase from a presenter, or as a standalone for attendees to view the information on their own. 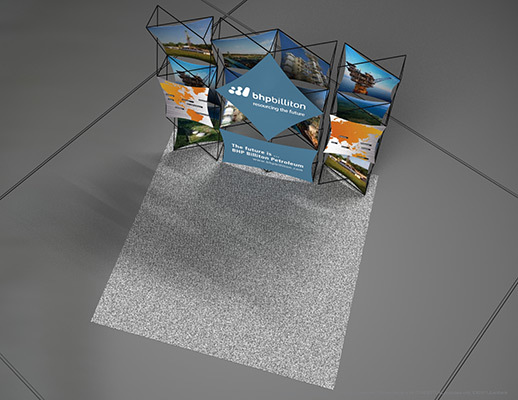 Lots of information to explore with no extra clutter or extraneous pieces to distract from the primary focus. 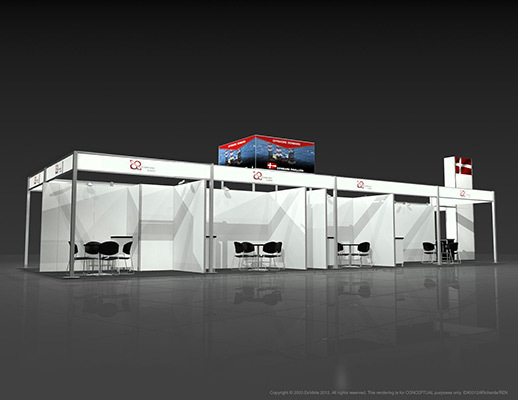 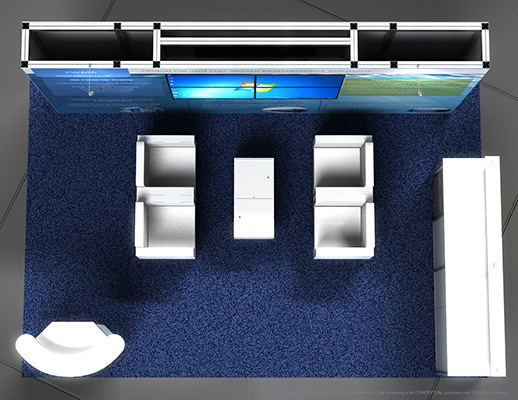 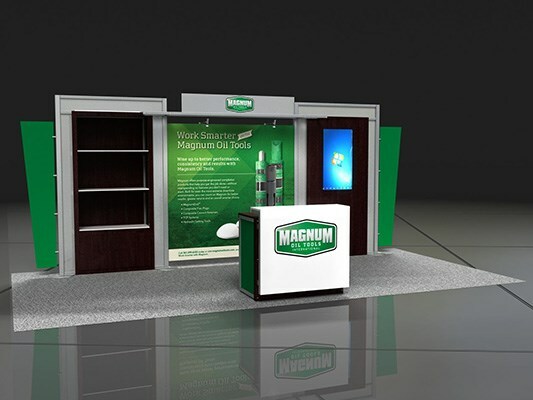 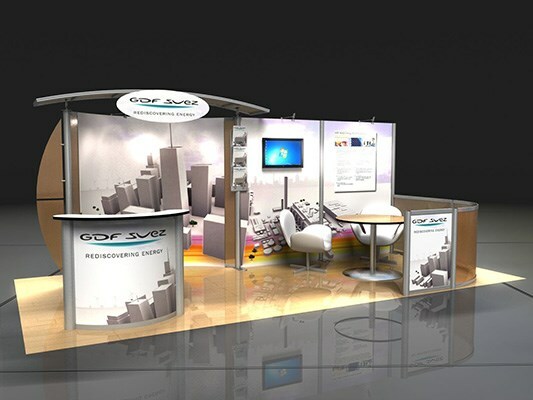 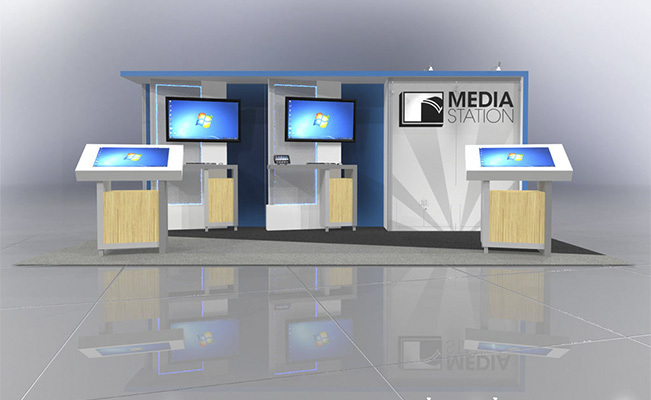 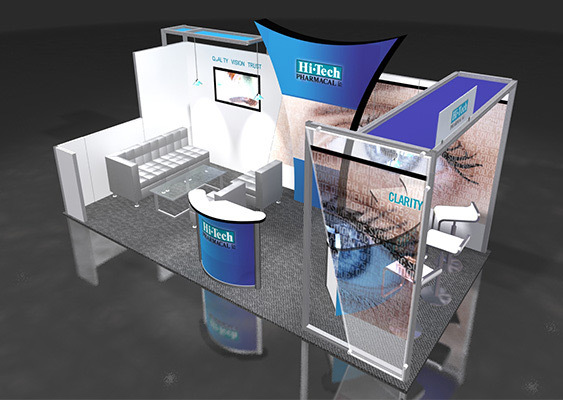 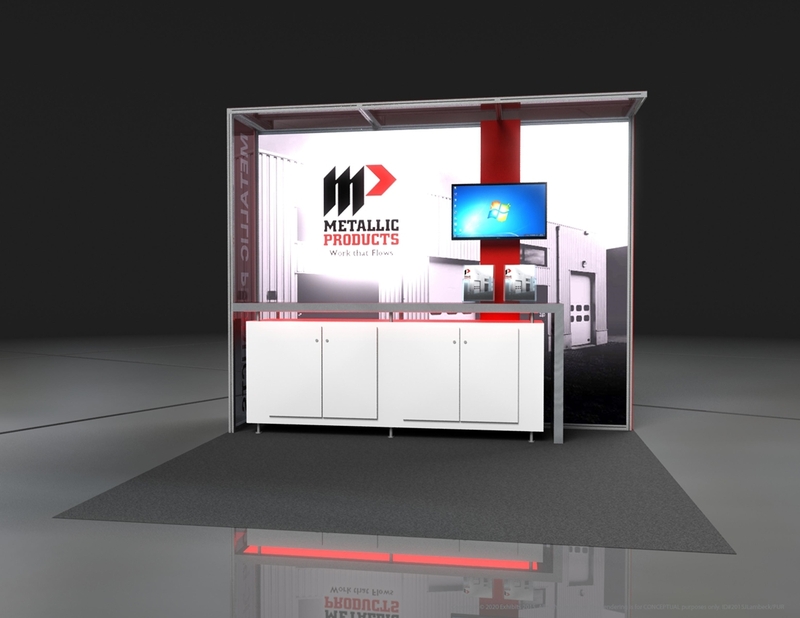 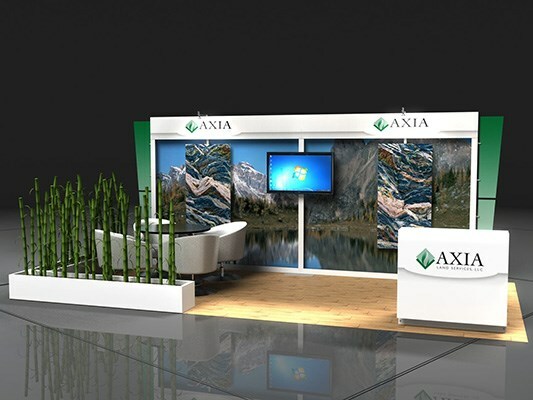 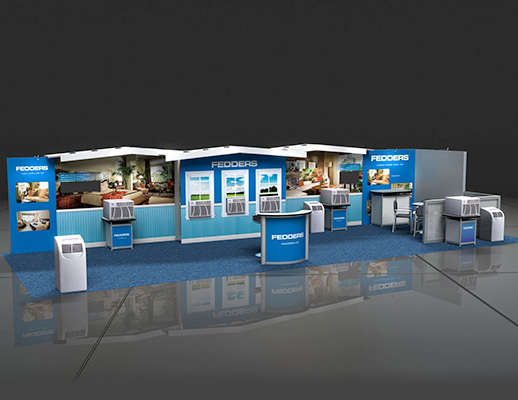 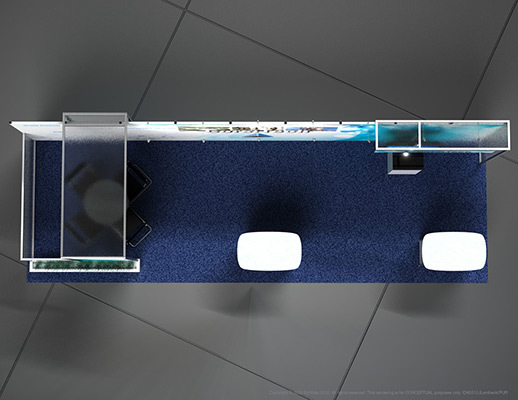 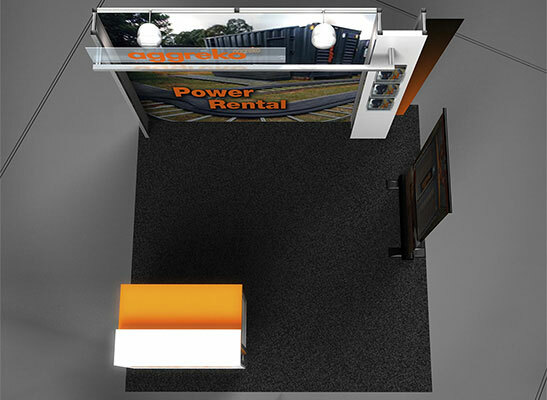 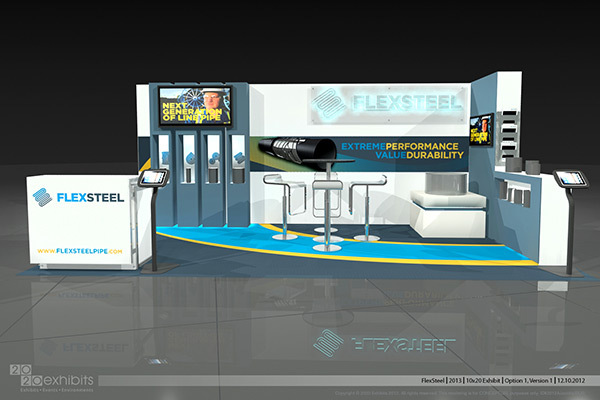 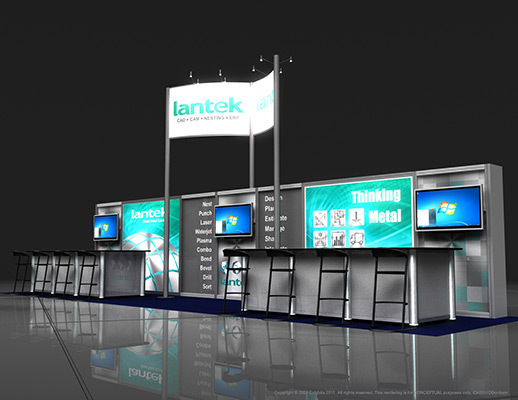 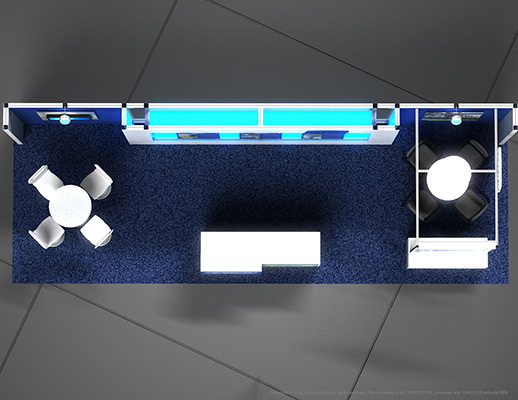 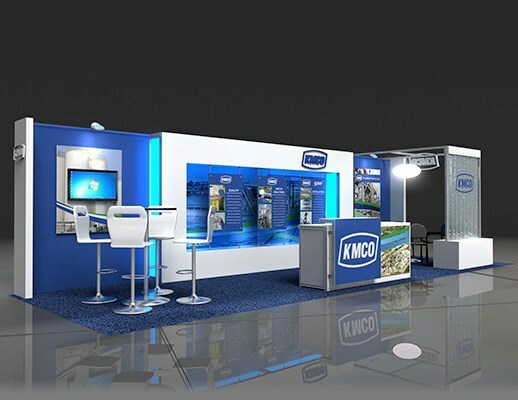 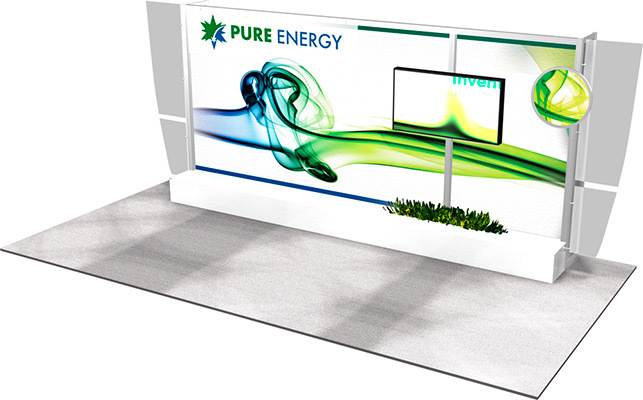 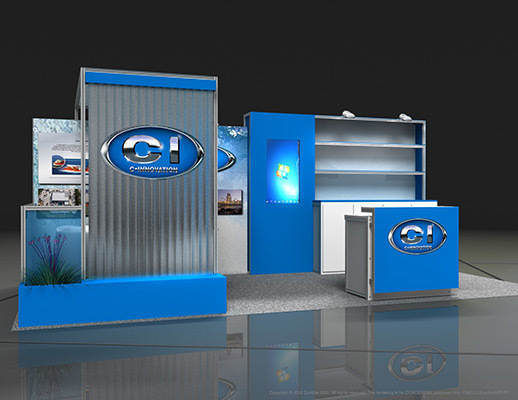 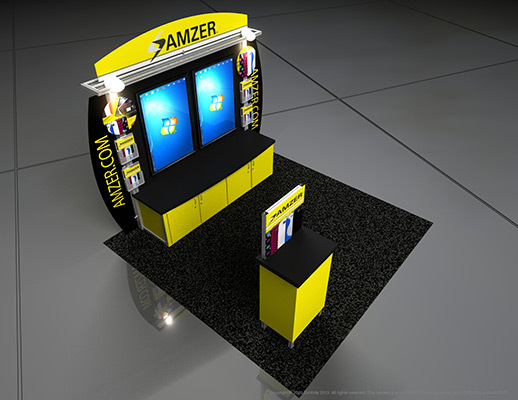 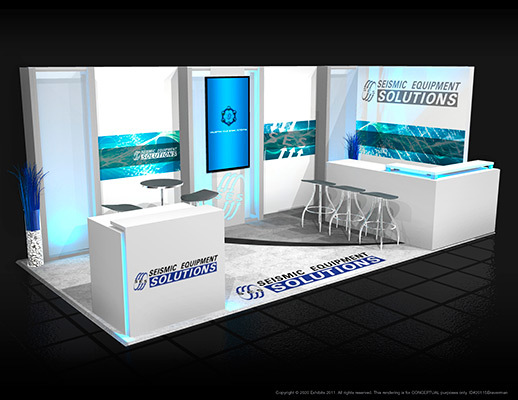 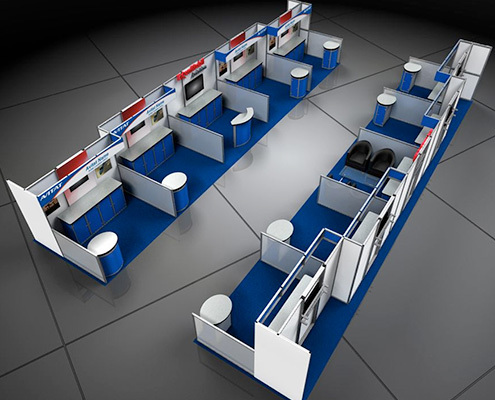 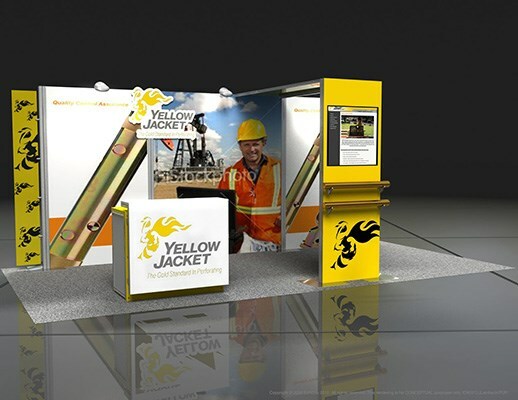 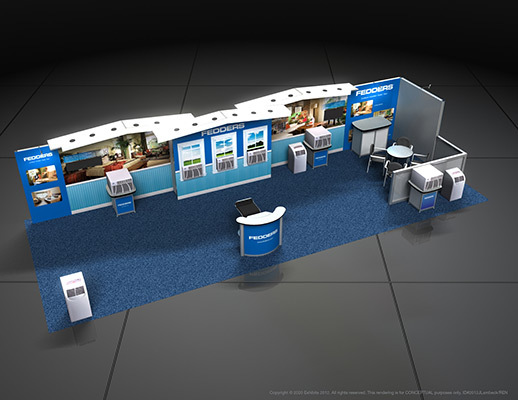 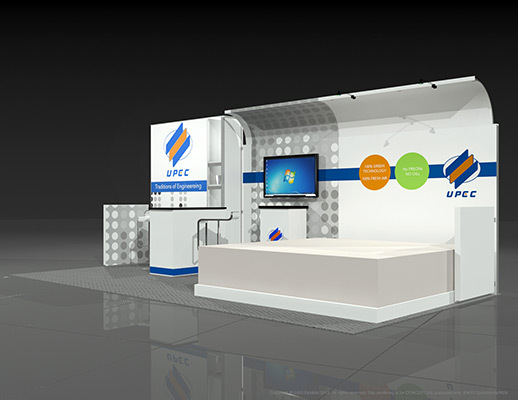 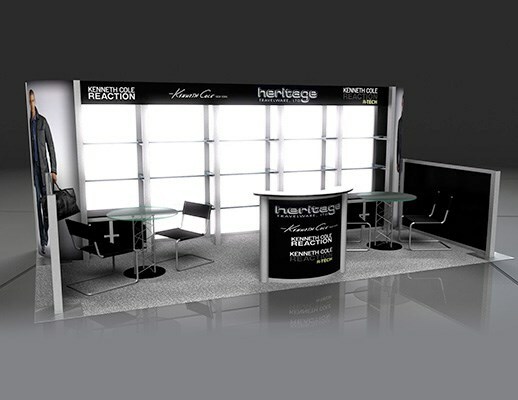 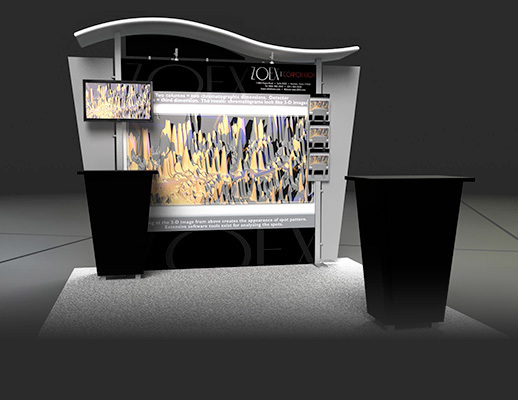 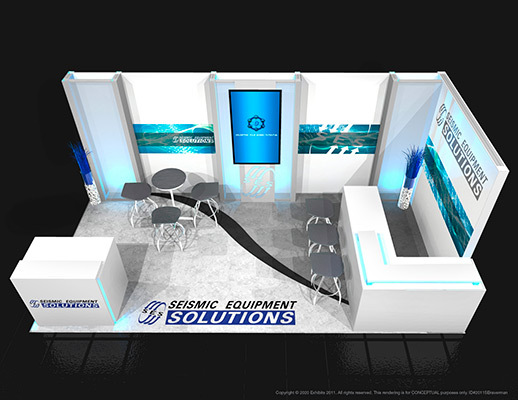 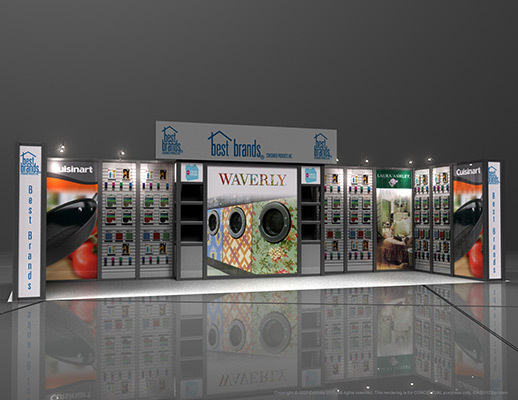 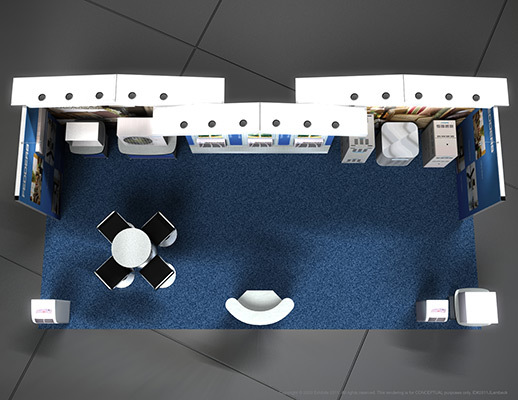 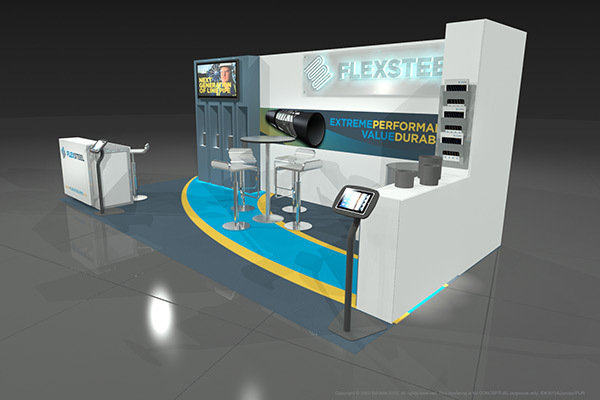 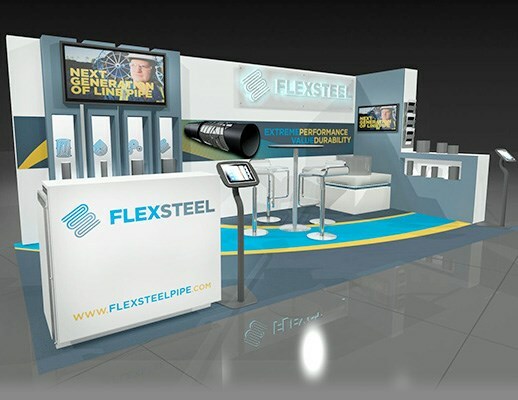 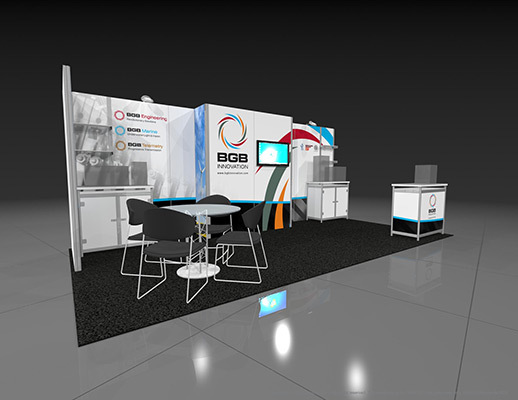 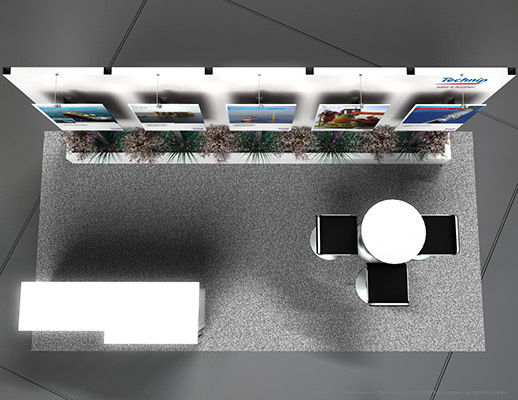 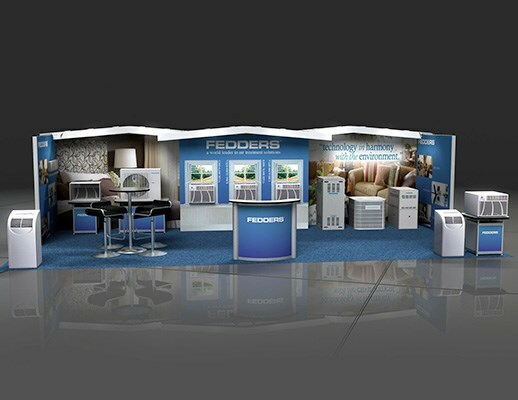 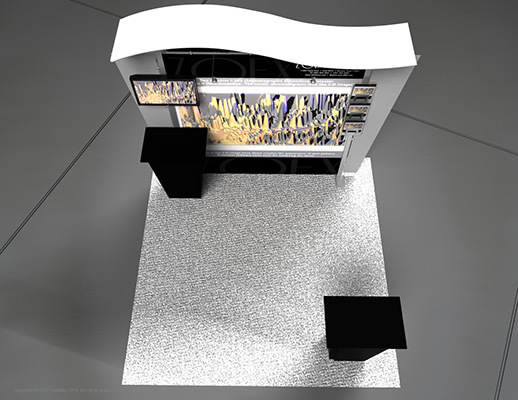 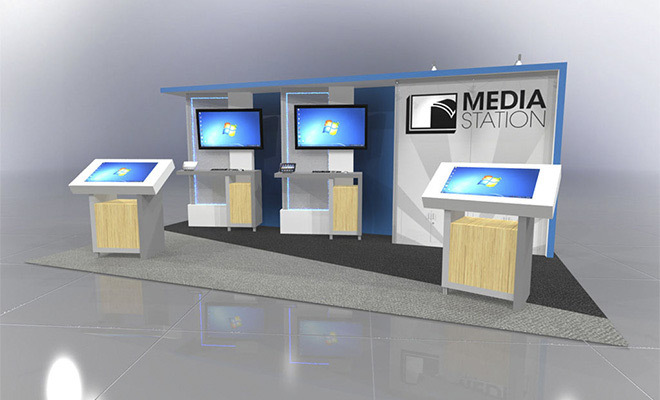 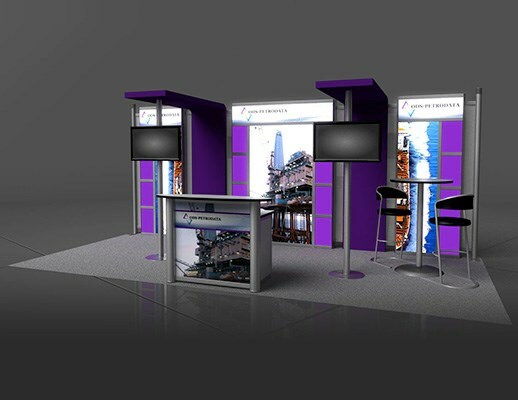 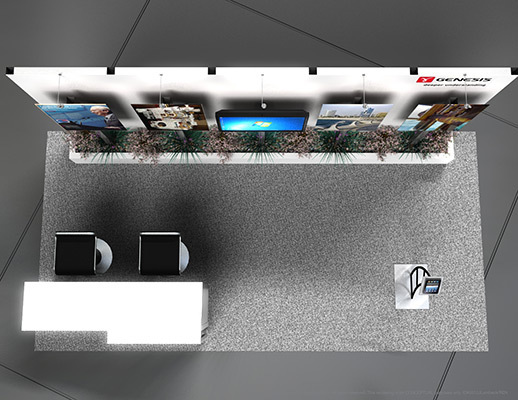 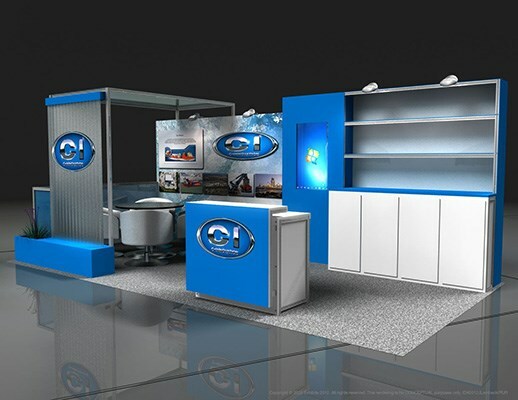 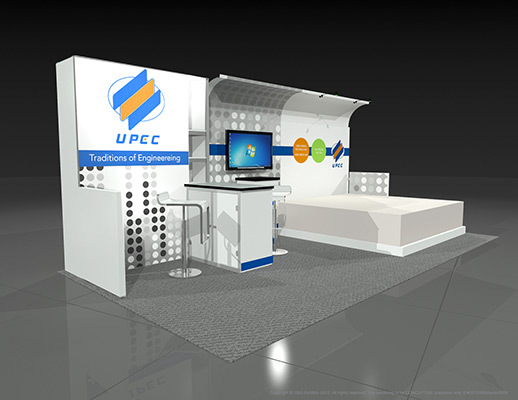 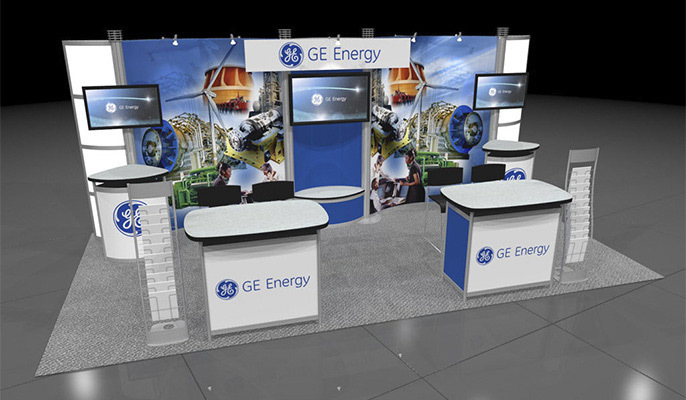 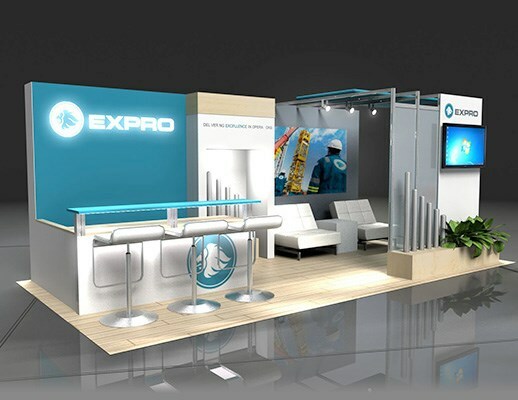 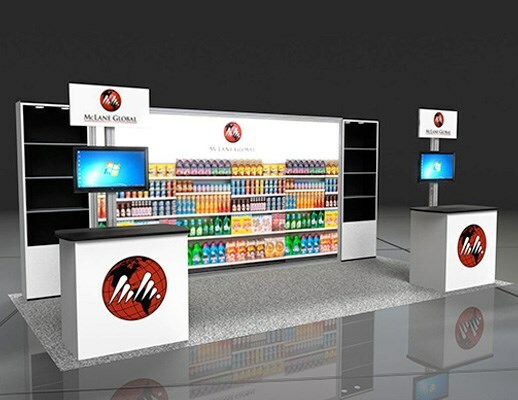 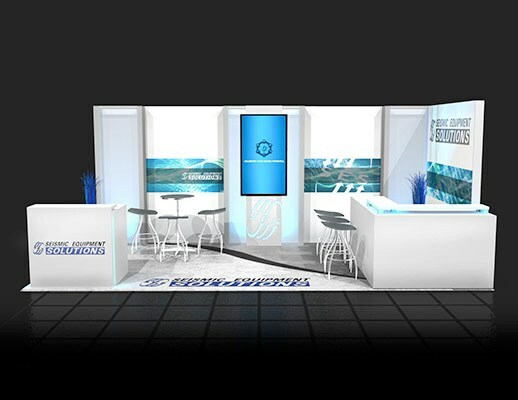 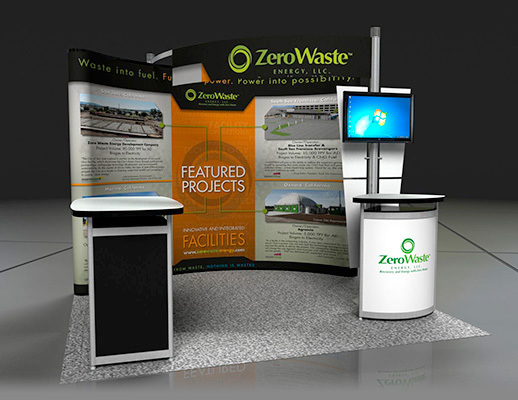 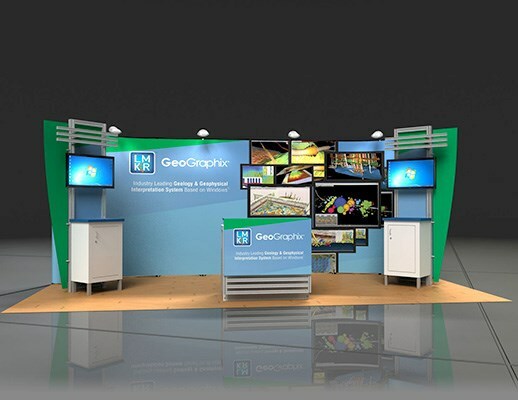 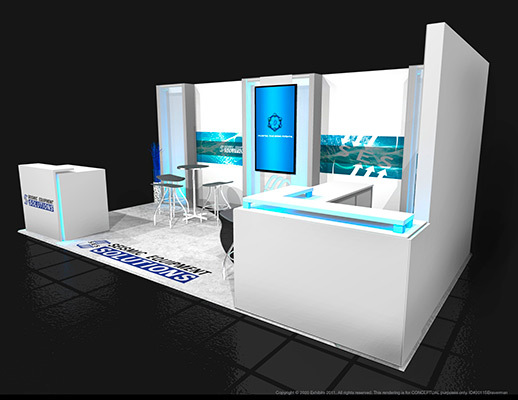 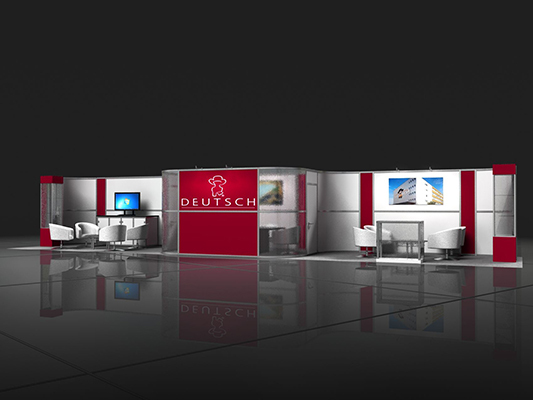 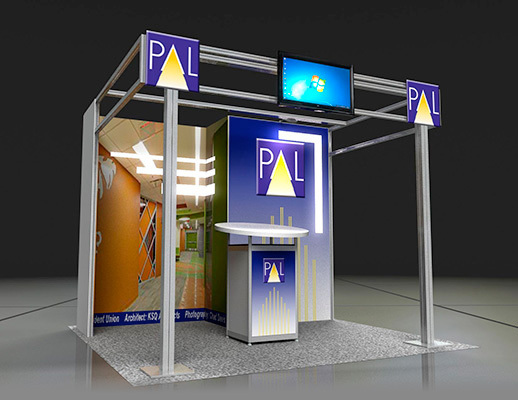 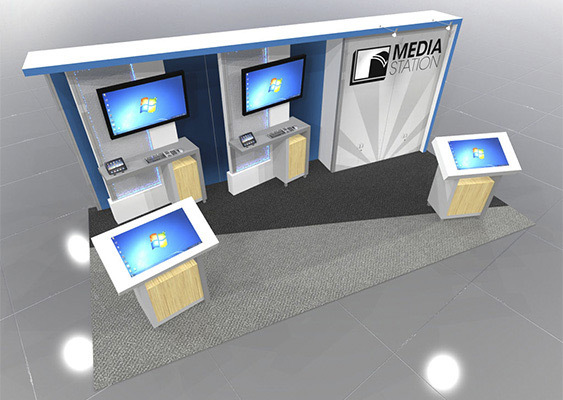 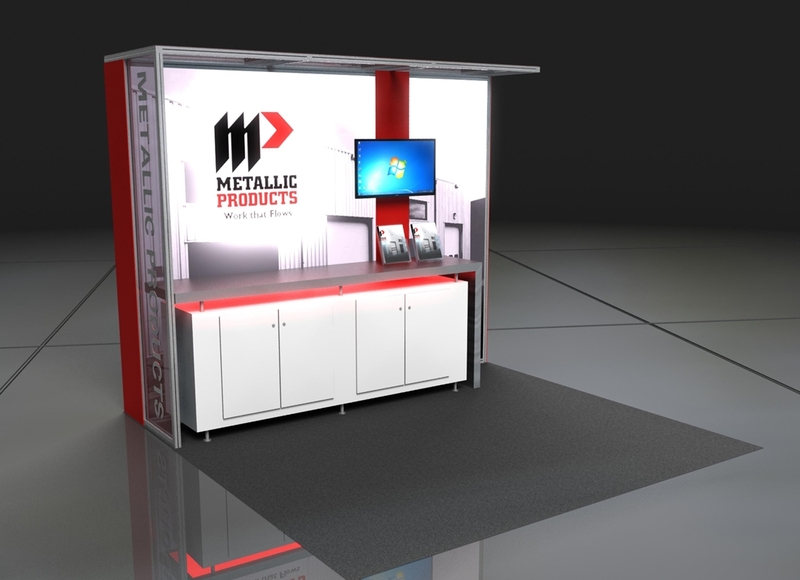 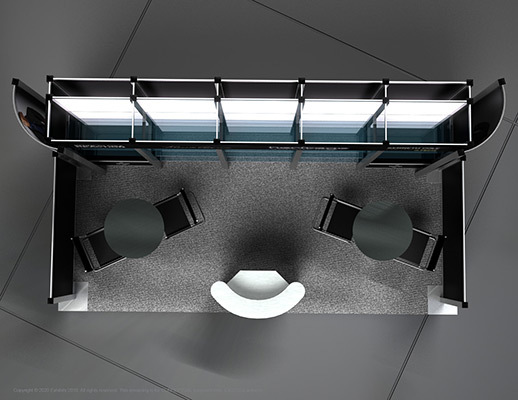 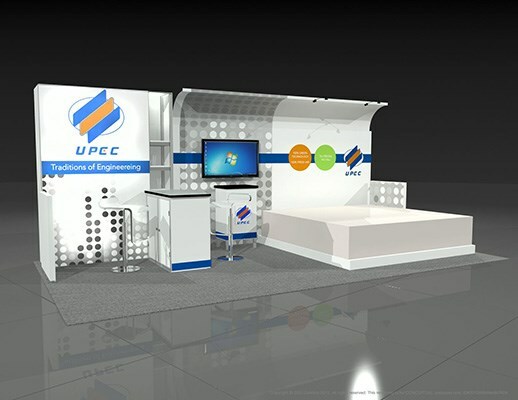 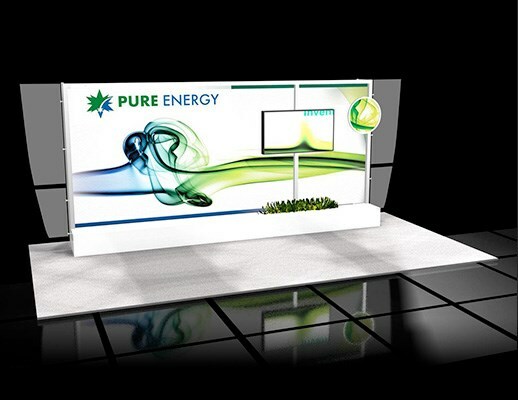 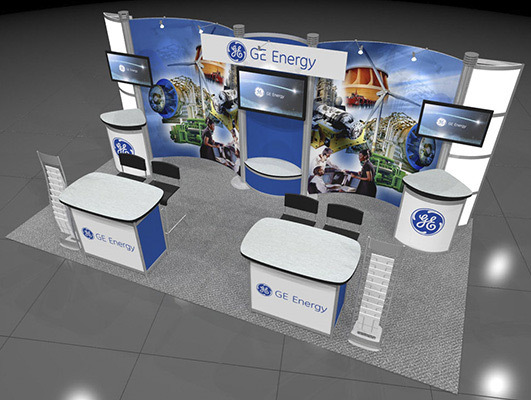 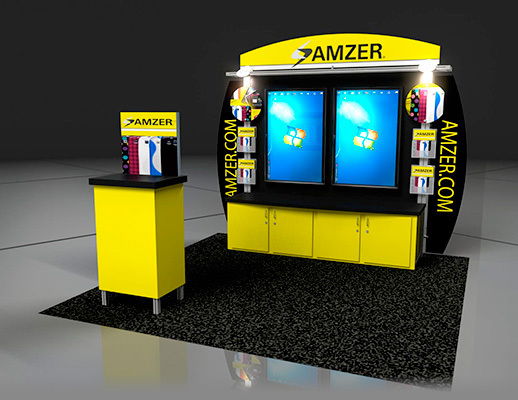 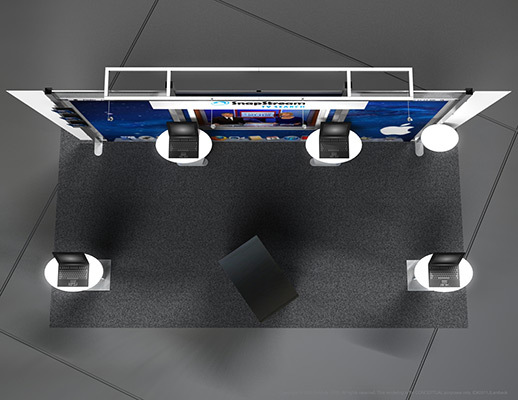 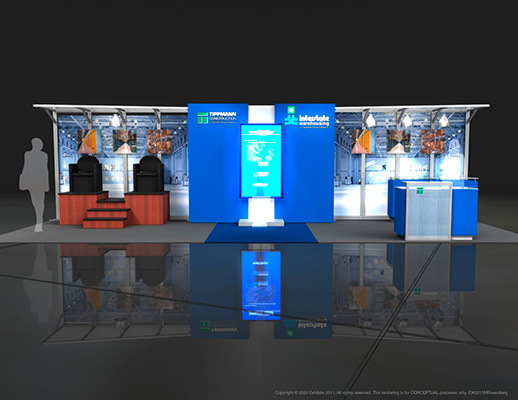 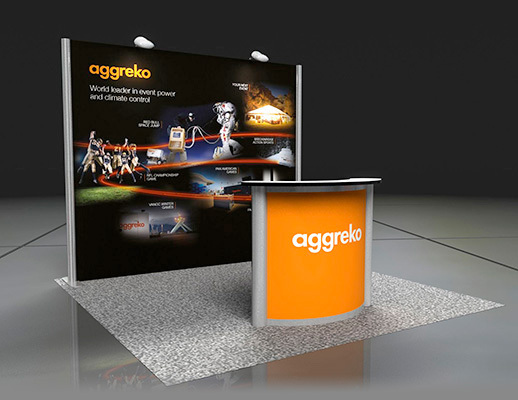 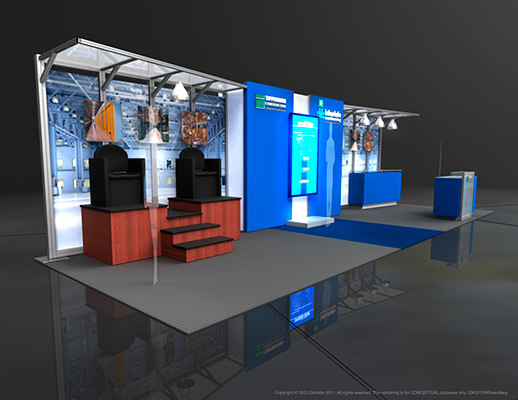 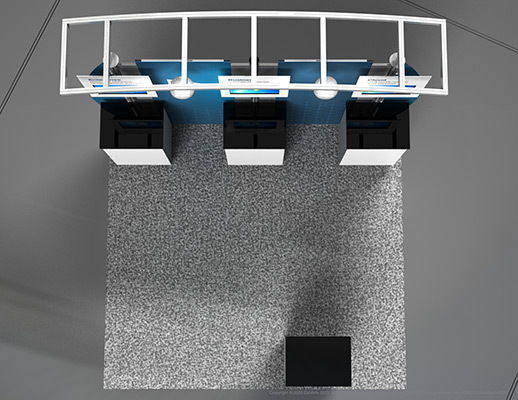 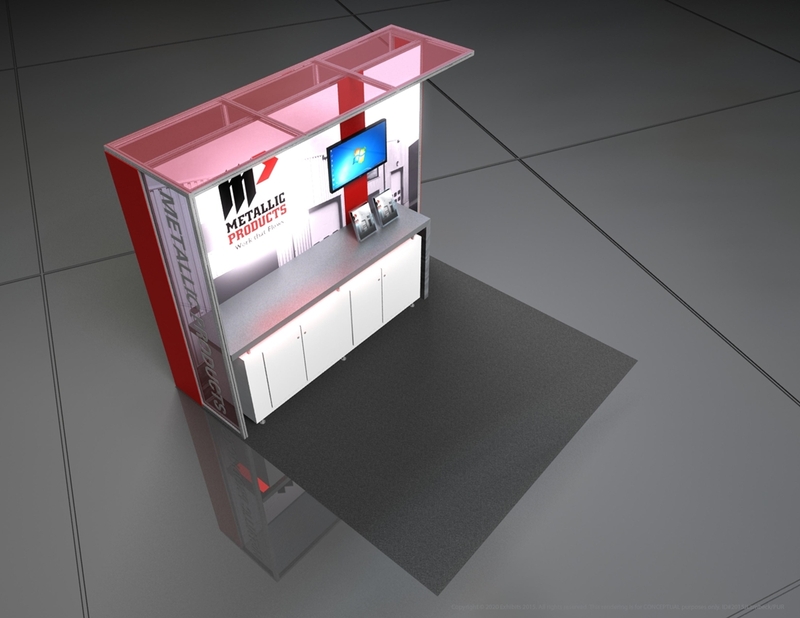 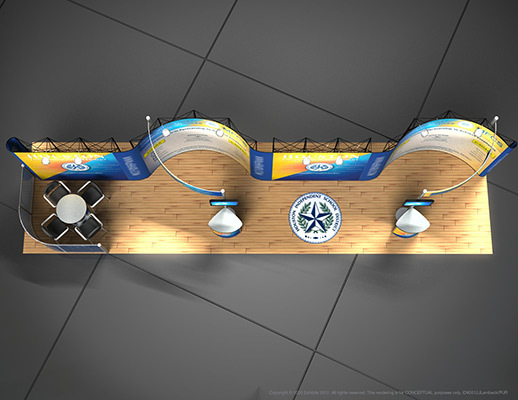 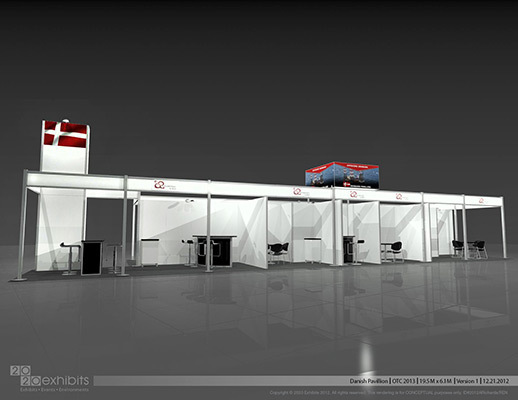 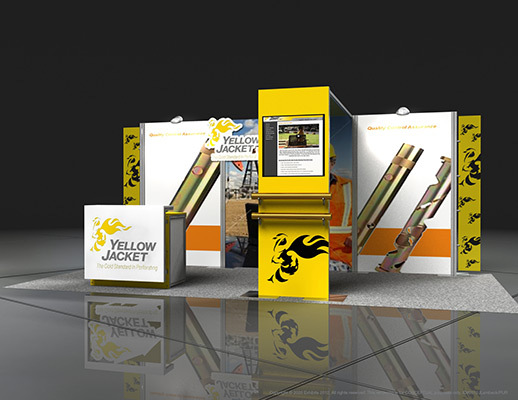 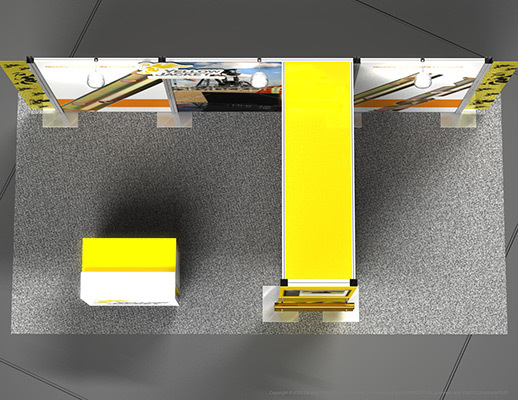 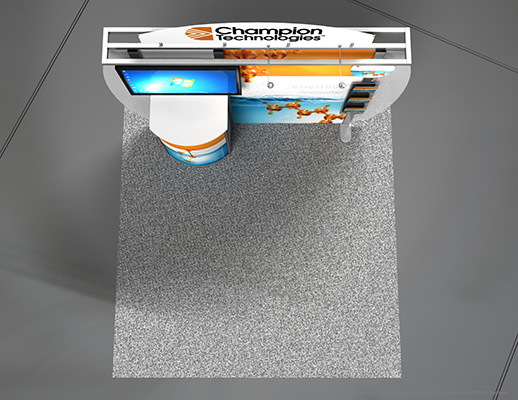 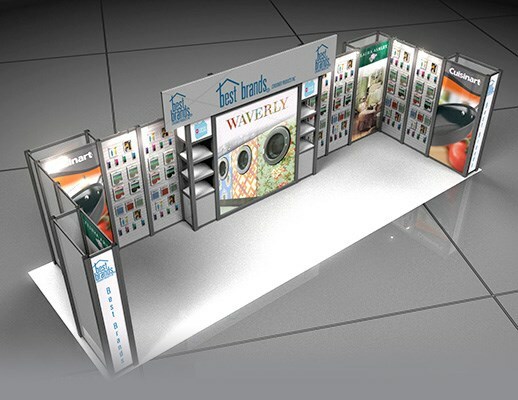 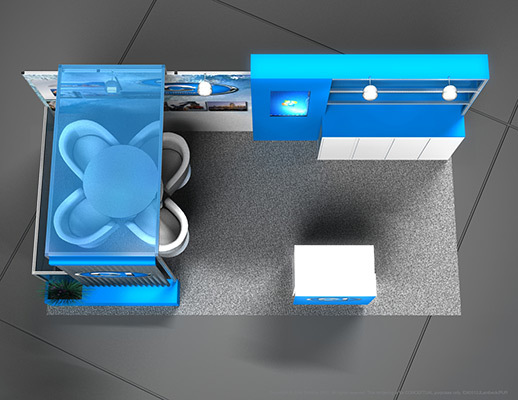 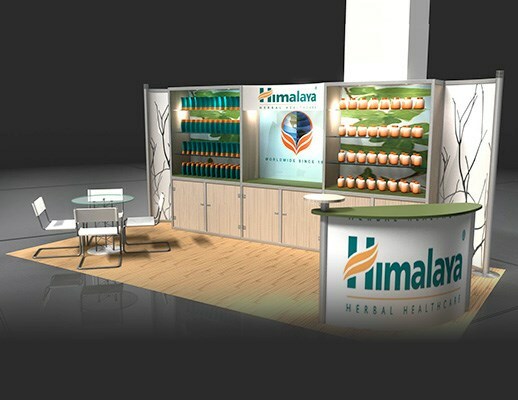 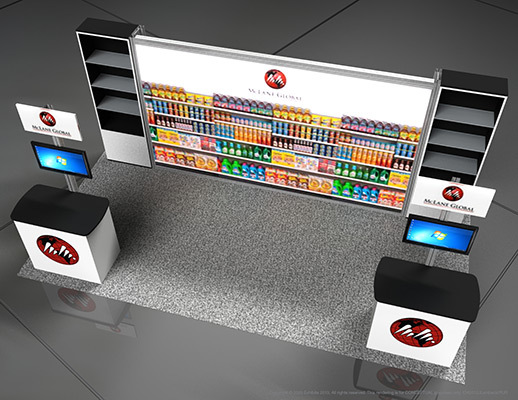 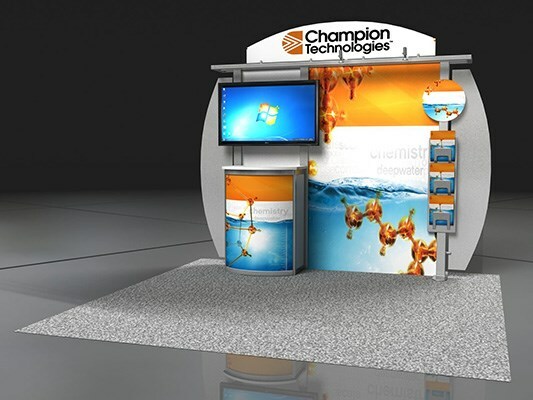 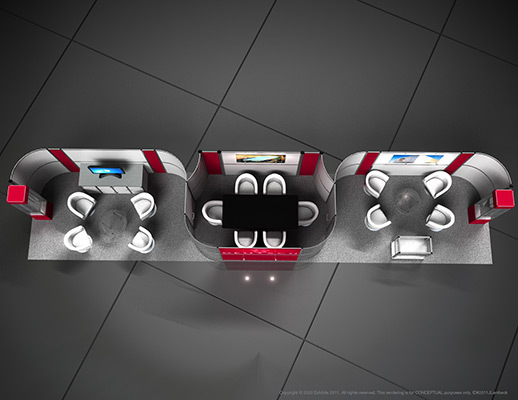 Features include: curved overhead arch, strong graphic backwall, literature displays, information kiosk, video kiosk, reception area, carpeted inlay, presenter podium and overhead lighting.